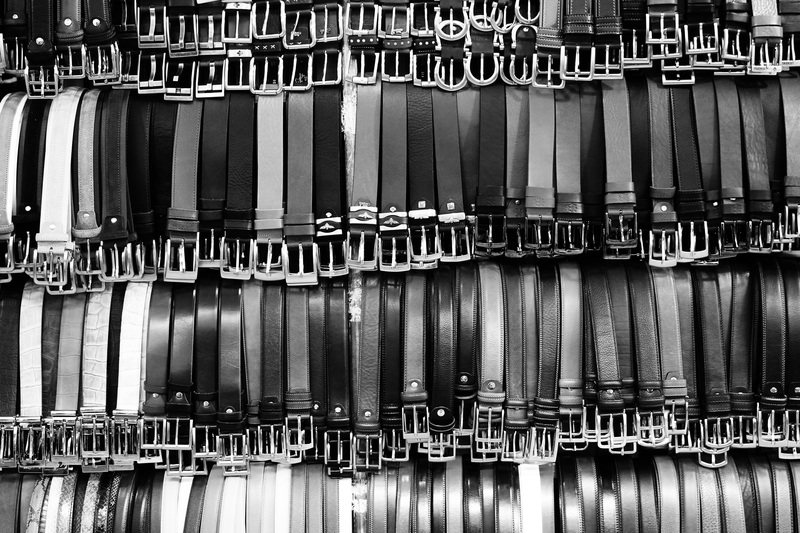 A Man I Am in Amsterdam | I'm not Anthony Bourdain, but I write, I travel, and I eat. I'm not Anthony Bourdain, but I write, I travel, and I eat. 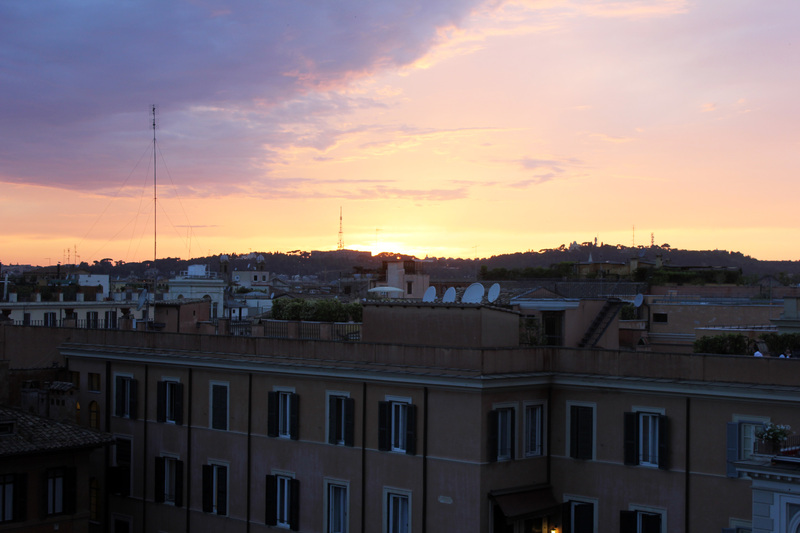 And so continued our long, long day in Rome. 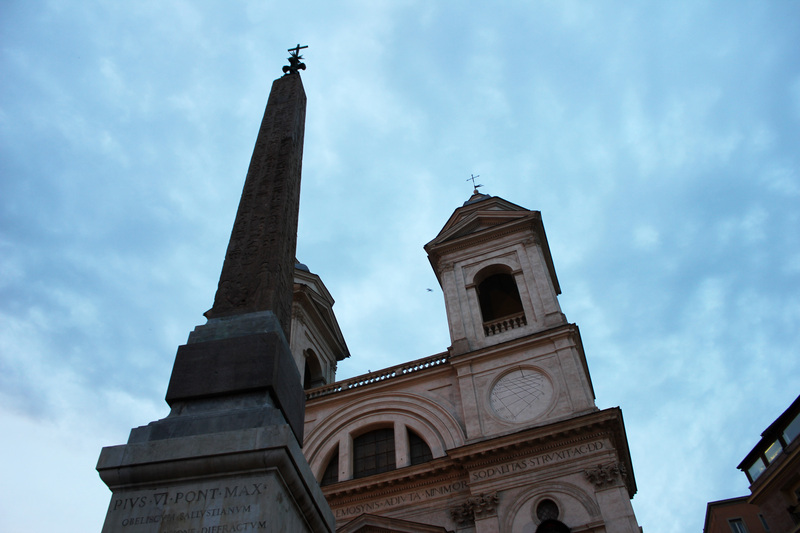 As we left the Pantheon, we made our way towards the next point of interest: Piazza Navona. 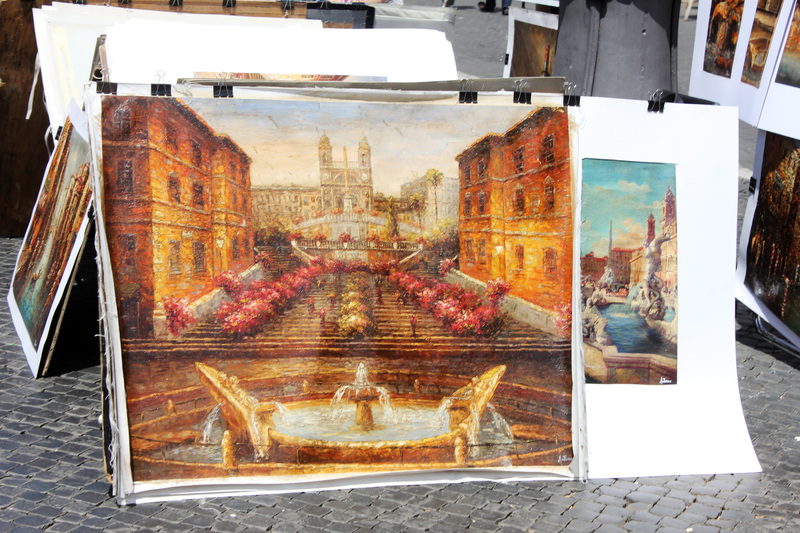 Piazza Navona is one of the city’s main squares, which also means tourist traps galore. 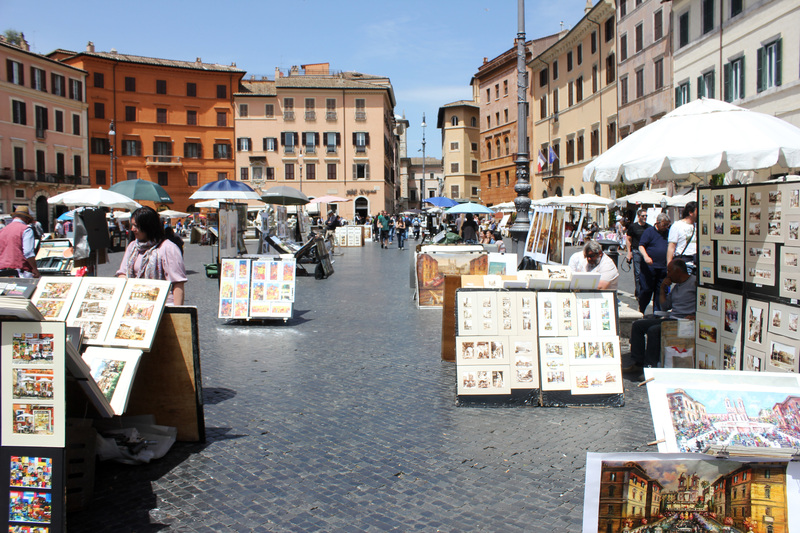 Rome as a whole is a haven for tourist trappers, but Piazza Navona seems to be the where they all culminate. 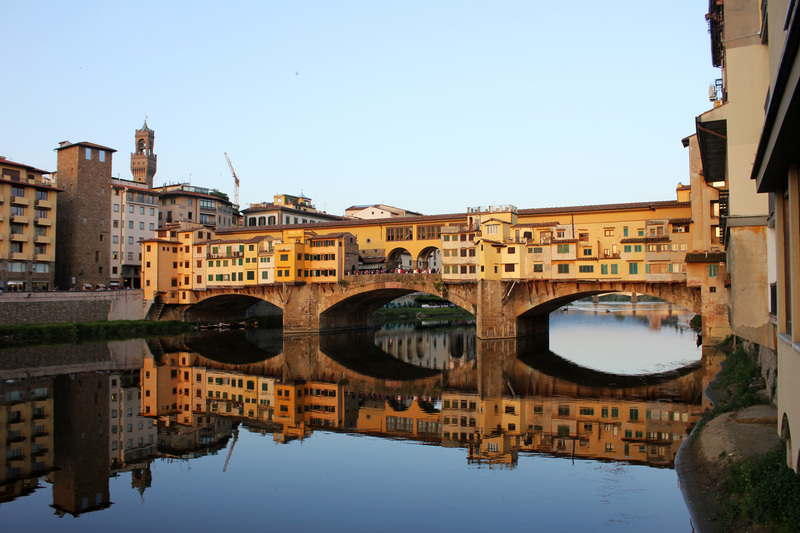 I’m talking about overpriced cafés, overly friendly street performers, and overly similar street ‘artists.’ All that aside, it is a beautiful piazza nonetheless with plenty of nice fountains and buildings, and it’s definitely worth a visit. 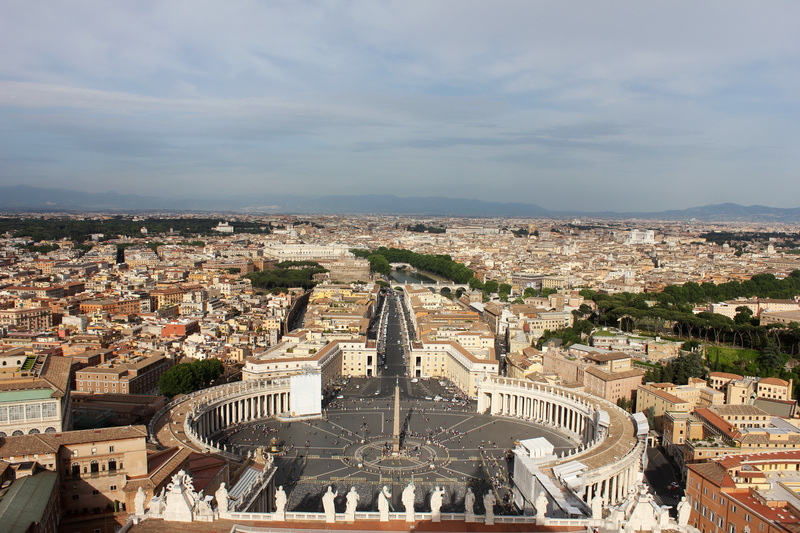 From there, we made our way west towards Vatican City, with a few detours on the way. 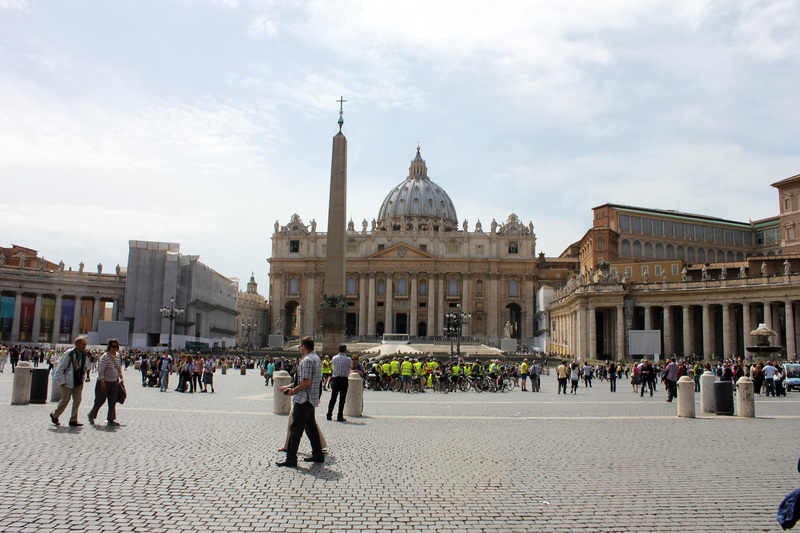 Let me get this out of the way–there is a lot to see in Vatican City. If possible, it is definitely best to spend an entire day there, but we only had a day to see all of Rome, so time management was key. 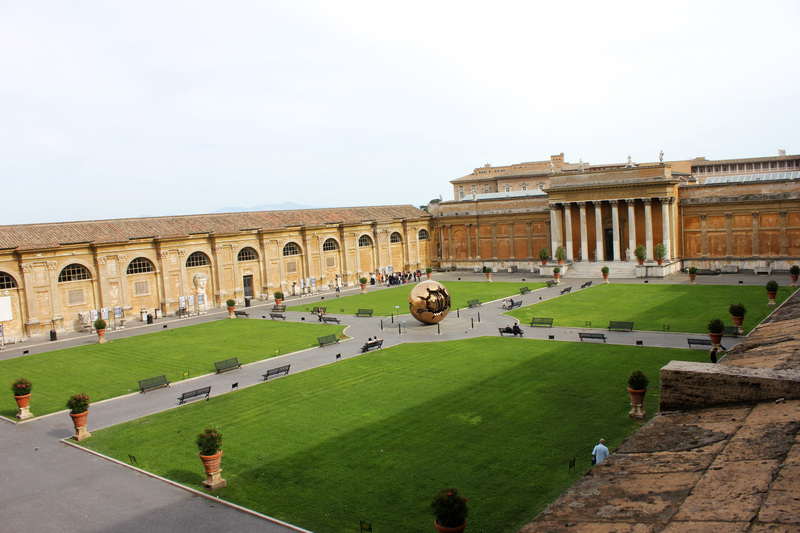 Regardless, a good portion of the day was spent at the Vatican, and it’s a holy place, a tiny place, and a beautiful place. 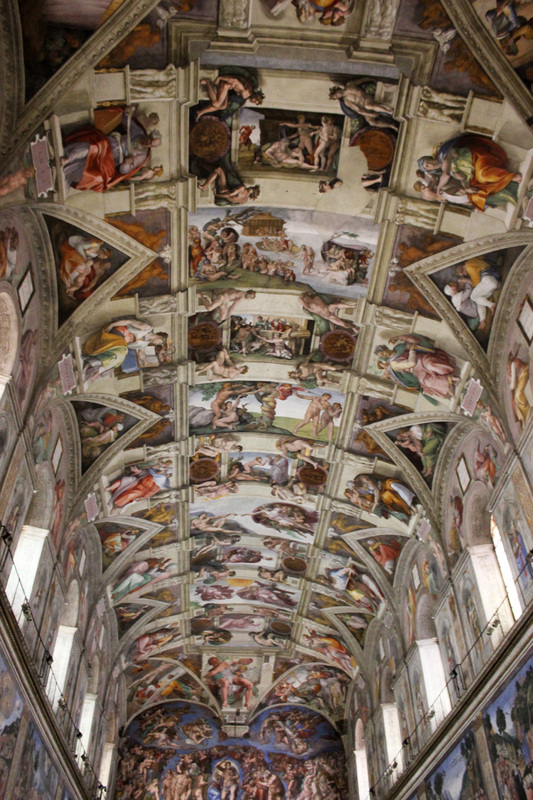 Highlights include St. Peter’s Square, St. Peter’s Basilica, the Vatican Museums, and of course, Michelangelo’s Sistine Chapel. 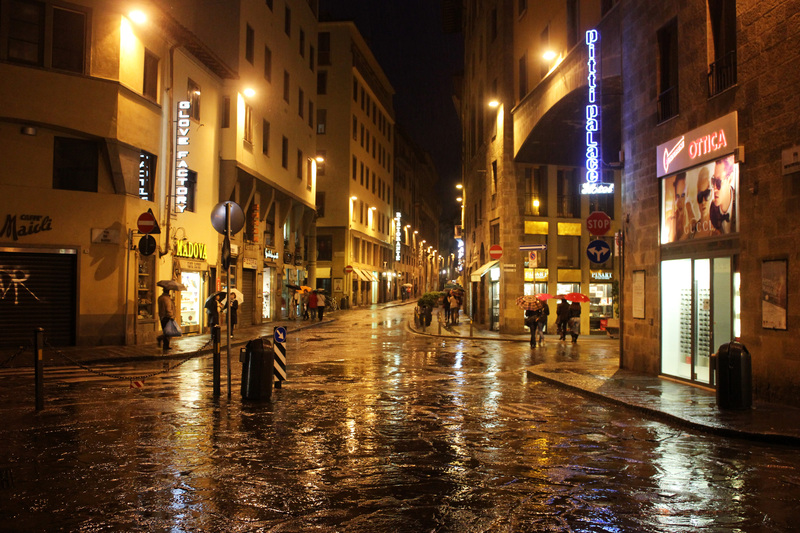 Now, I know what you guys are wondering: ‘Where’s the gelato? 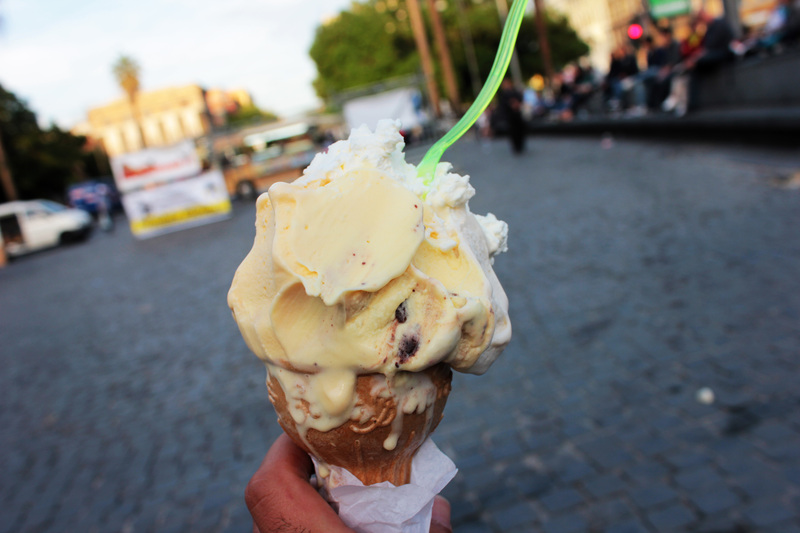 !’ Fret not, friends, for Vatican City is also home to Old Bridge Gelateria, some of the best gelato known to man as far as I know. Cheap, creamy, and delicious; it’s no wonder the line almost always goes out the door and down the block, and it’s more than worth it. 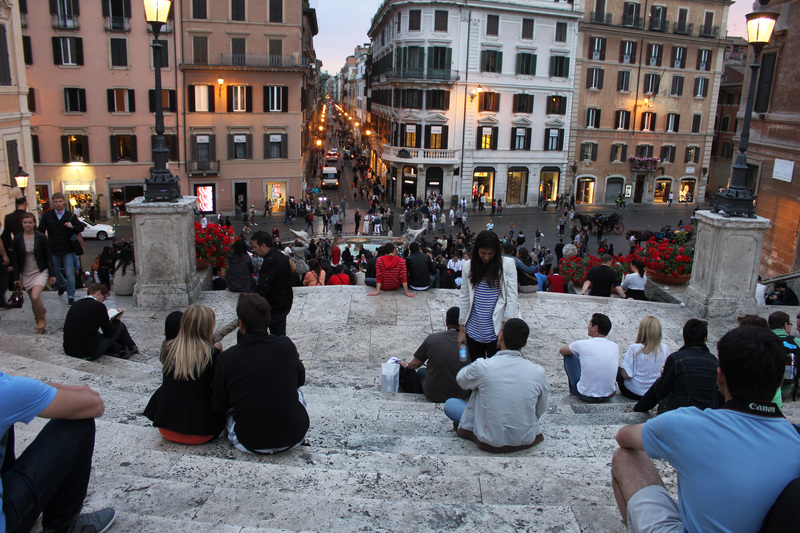 Our last stop in Rome was the Spanish Steps at the Piazza di Spagna, just in time for the late sunset. It’s also another popular tourist area, and an even more popular tourist trapper area (do not grab the roses!). 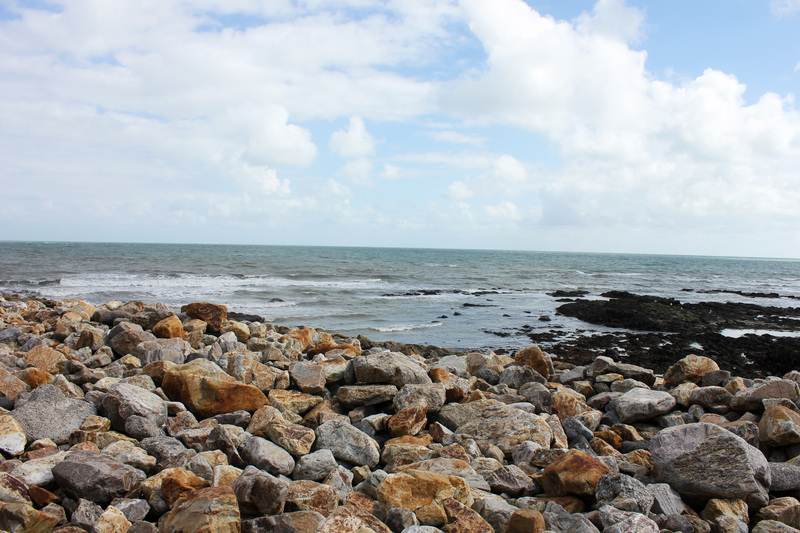 Nevertheless, it remains a beautiful place to sit, drink, eat, etc. 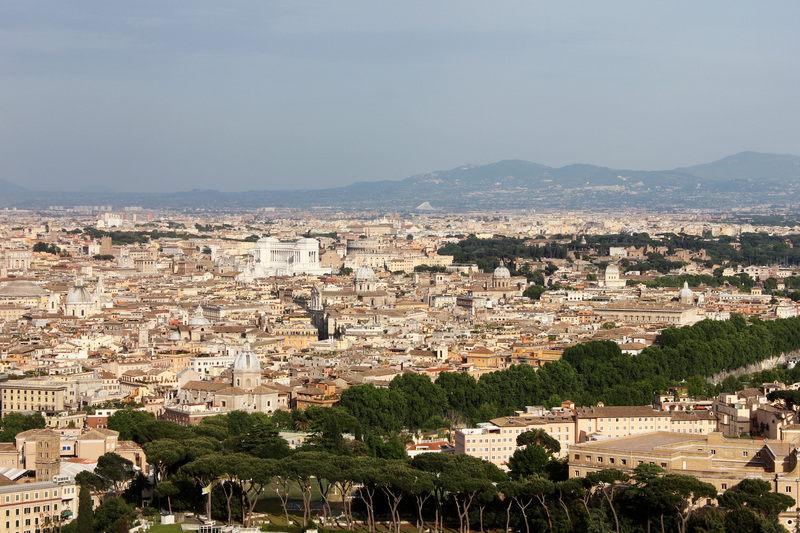 The climb to the top of the steps treats you to a decent view of Rome’s skyline and a chance to visit the Trinità dei Monti church. 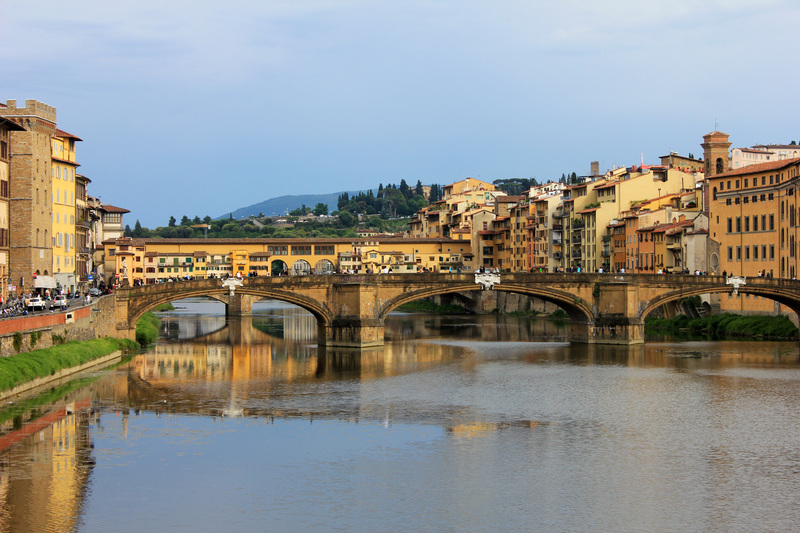 But our trip to Italy wasn’t finished yet… Next stop: Firenze! 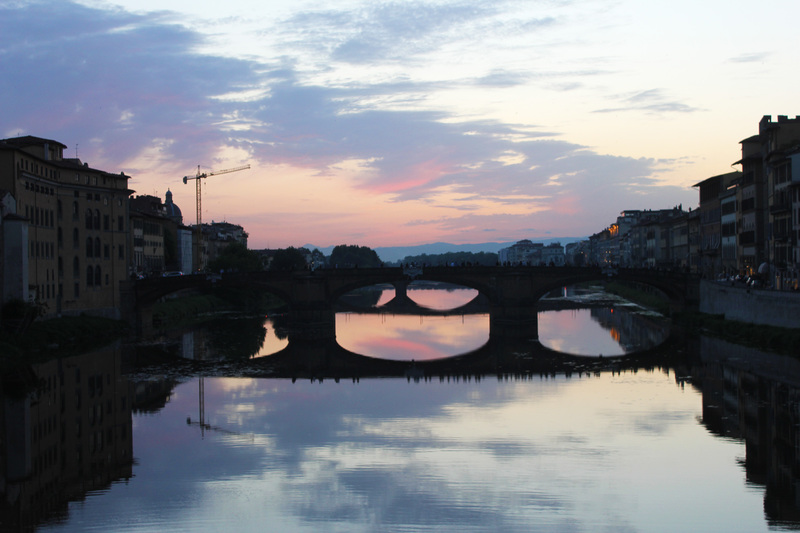 Travel isn’t always about immersing yourself in a foreign culture and absorbing the sights, sounds, tastes, and smells that make a place special. 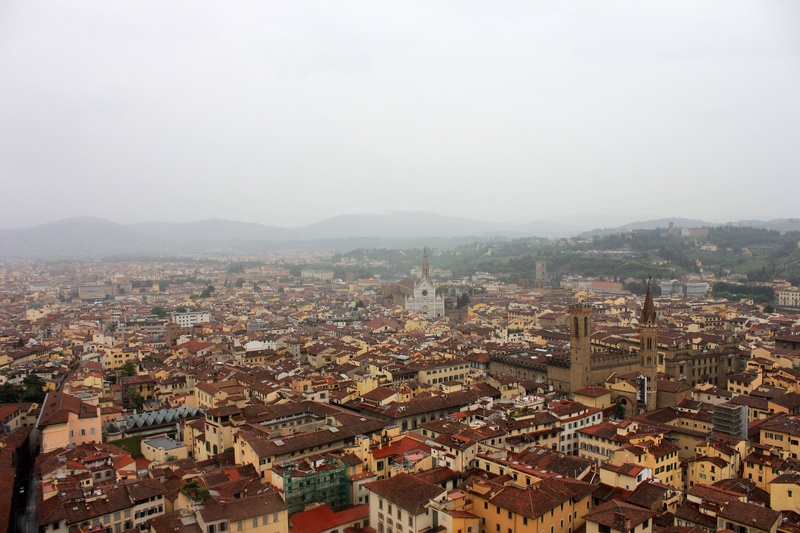 Unfortunately, sometimes travel is simply about whipping out the camera and city map and being a tourist, especially when traveling on a tight time frame. This past weekend, that’s exactly what me and my partner-in-travel did. 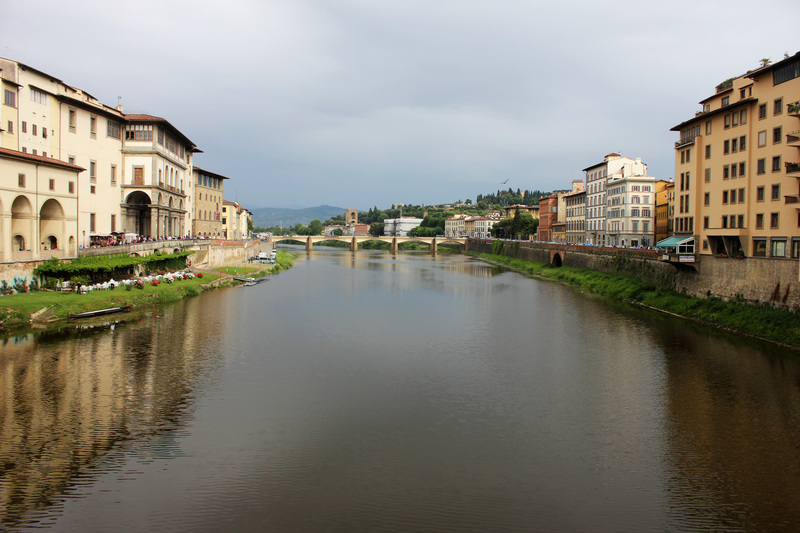 This weekend consisted of a brief tour of Italy– Rome and Florence specifically. 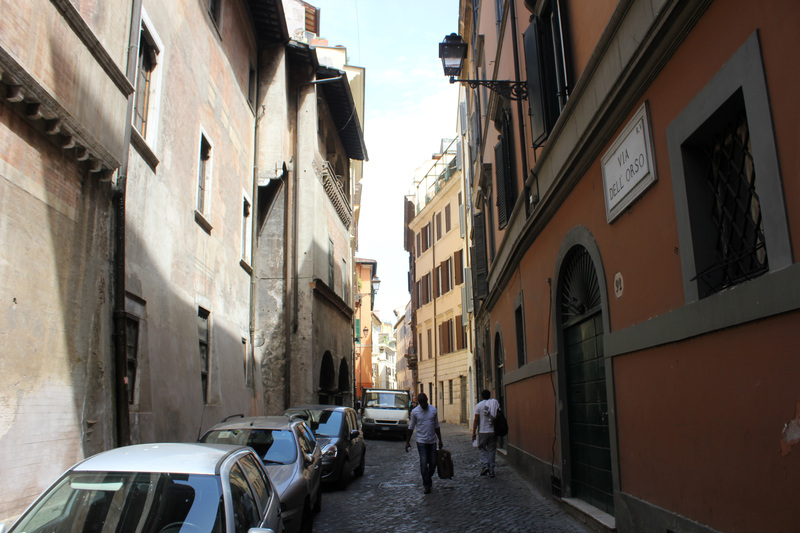 The first stop was Rome, and with only one full day to see the city, our plates were full (with both lasagna and things to do). 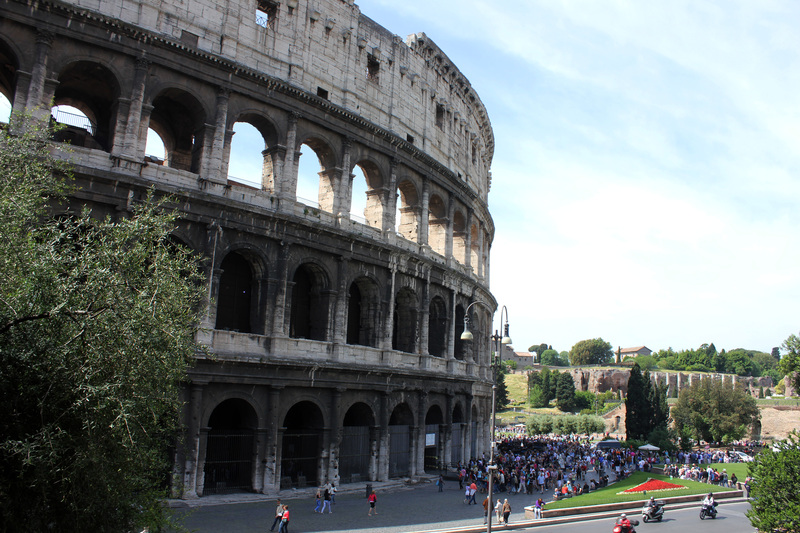 Let’s get this out of the way first: Rome is epic. It’s a pretty big city with absolutely tons of awesome stuff to see. Stunning ancient landmarks are so common that it’s disorienting when your eyes aren’t looking at something amazing. 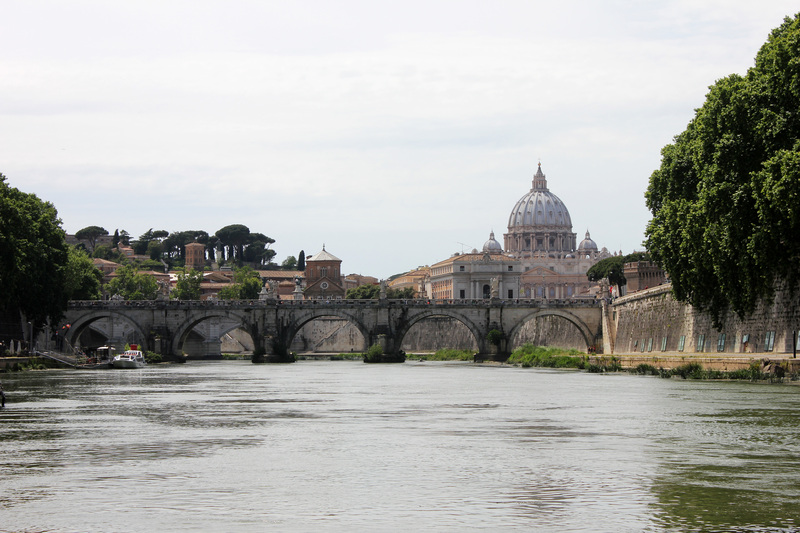 Doing Rome in one day isn’t the easiest of tasks, but it’s certainly doable. For us, it required a bit more than 12 straight hours of walking (not an ideal scenario for my worn-out Vans). Obviously, you won’t be able to do/see everything you’d like to in just a day, but you can definitely get damn close. I’ll guide you through the process. First up: The Colosseum. To actually see this thing in person feels like a dream. 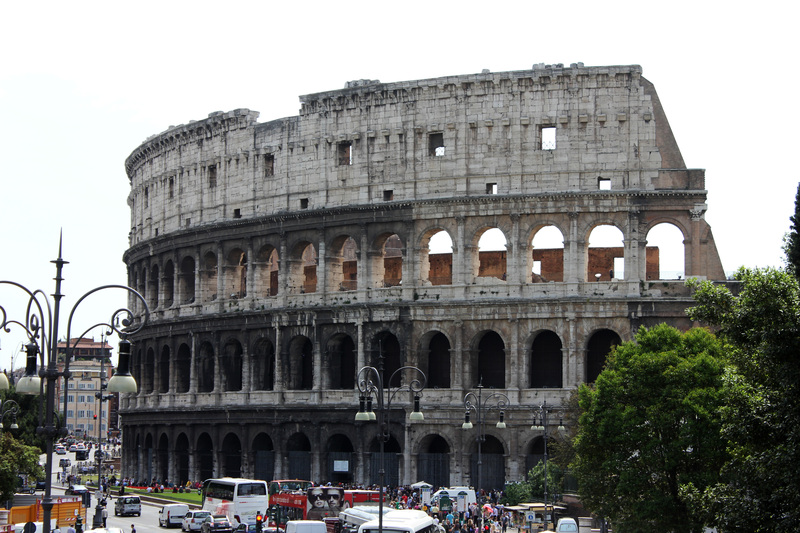 Built in 80 AD, the Colosseum still stands today largely intact. 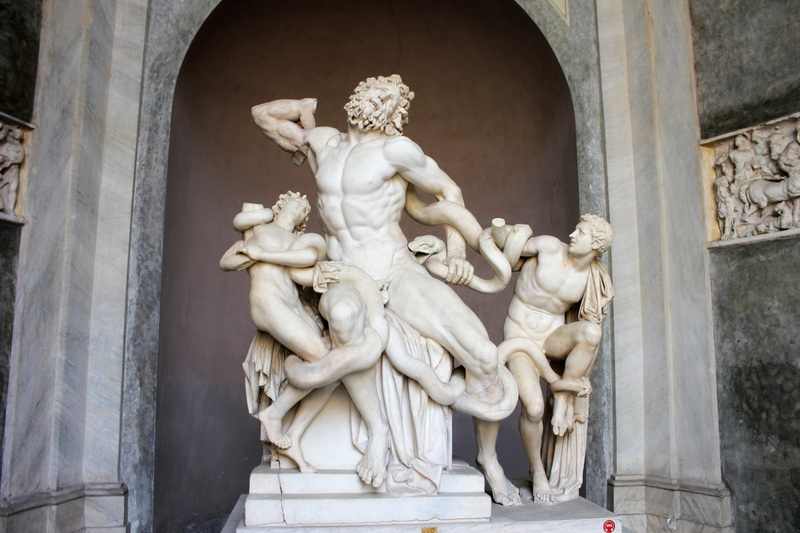 It is without a doubt one of the most impressive works of architecture in Rome, and it certainly has the most interesting history. Everyone knows about the bloody chaos that went on in these walls for the sake of spectators’ entertainment. 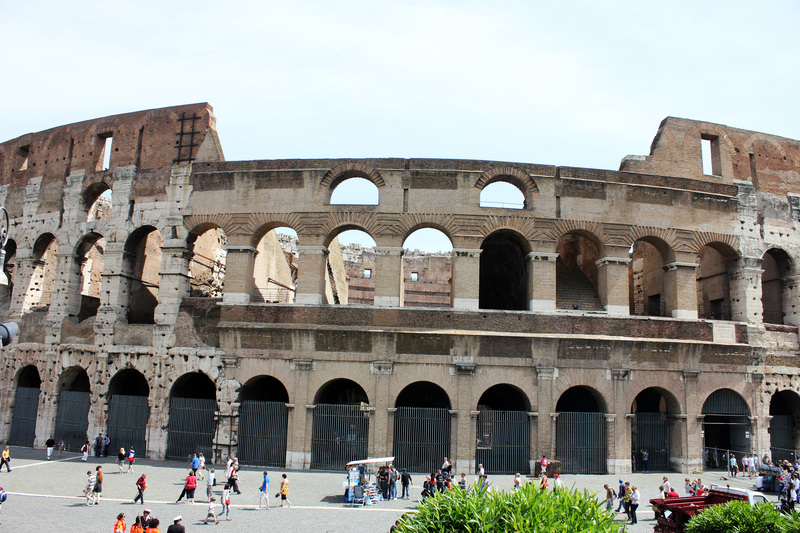 Unfortunately, we weren’t able to catch a gladiator battle, but the Colosseum itself is enough of a spectacle. 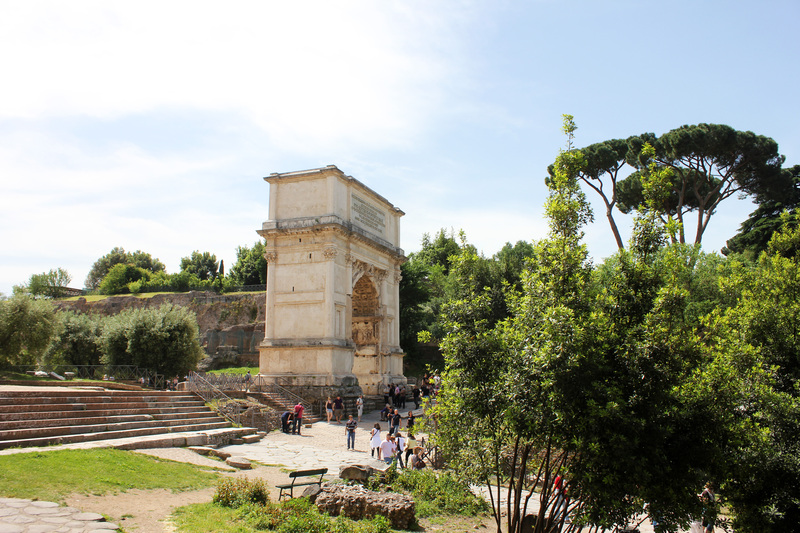 Just a stone’s throw away from the Colosseum is the Roman Forum. 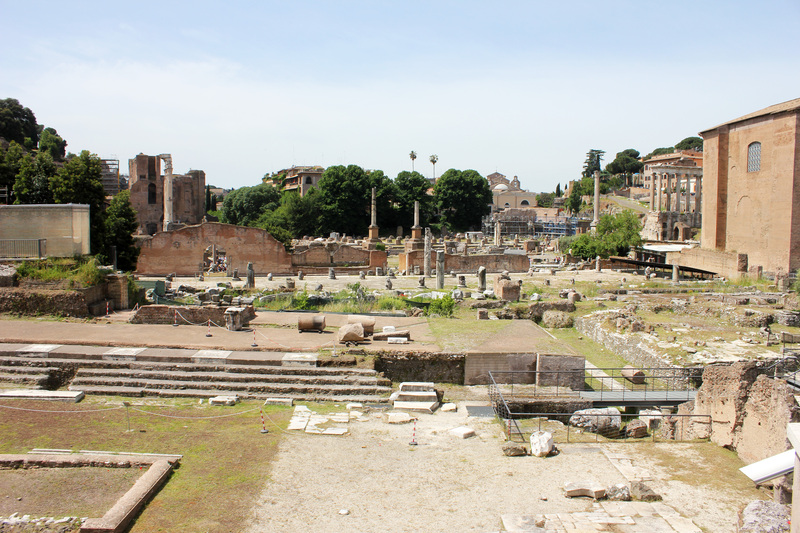 Although we didn’t have a chance to get inside the archaeological center, a great deal of the Forum is still visible from the surrounding streets and pathways. 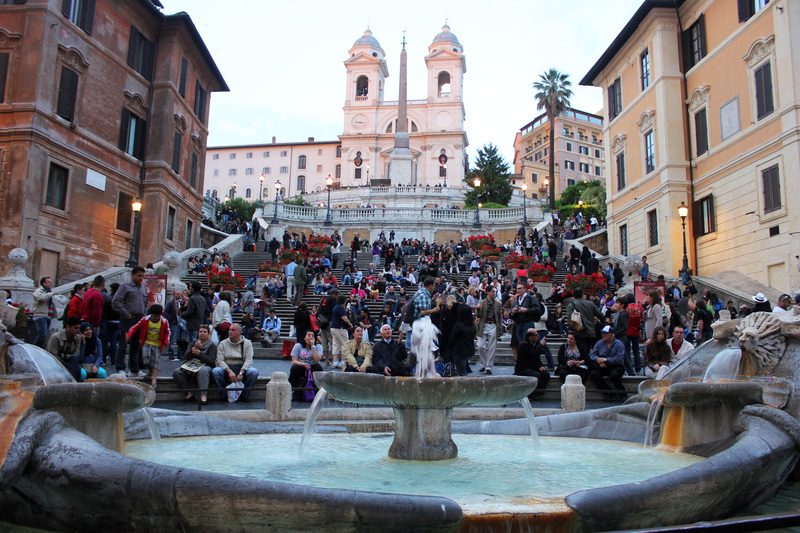 Once a busy public square in ancient times, the Forum remains a popular sight today, with some monuments still intact. If you have the time, definitely pay to get in, but if not, it’s an impressive sight nonetheless. 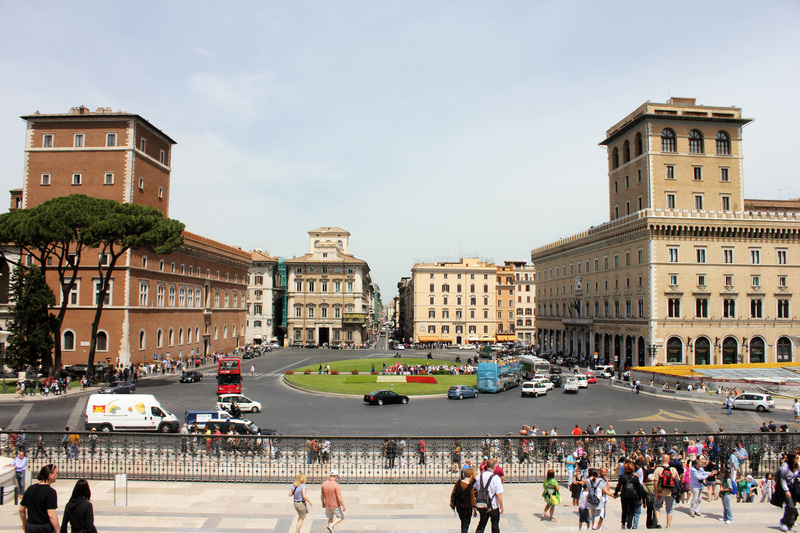 A bit north of the Forum is another major monument, the Victor Emmanuel II monument. 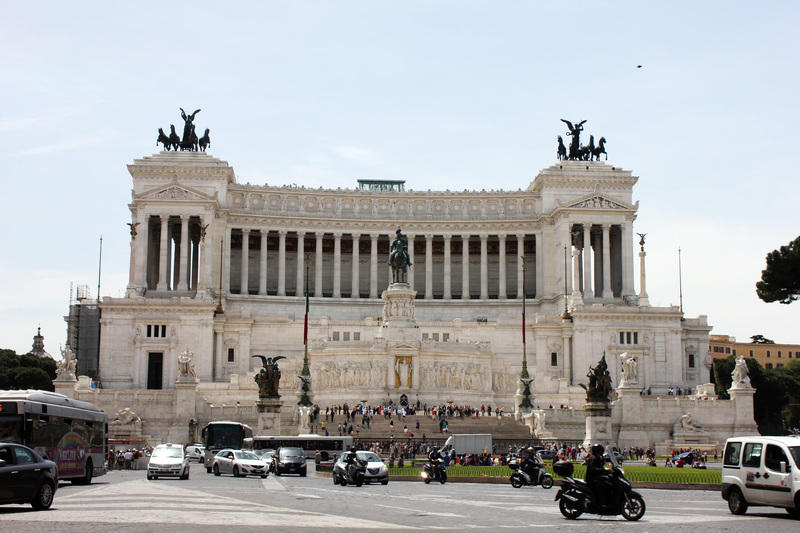 Dedicated to the first King of Italy, Vittorio Emanuele II, this monument is made of a striking white marble, making it one of the easiest buildings to spot in Rome. 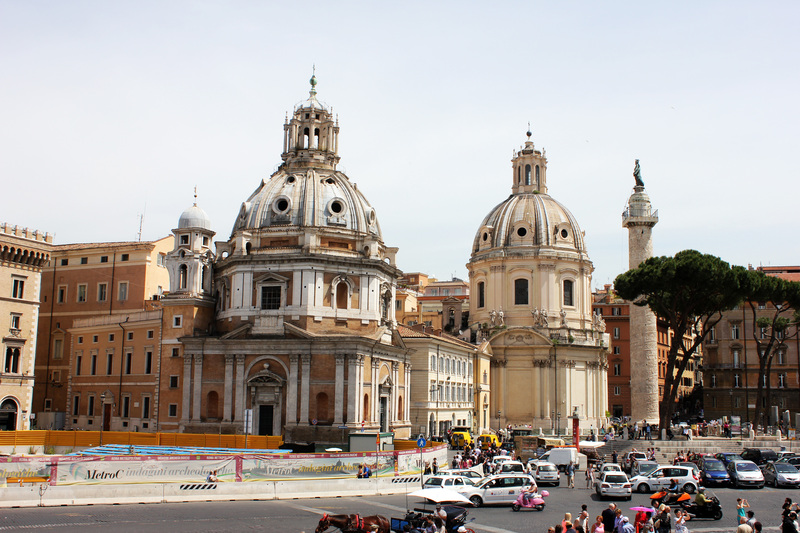 Located at the Piazza Venezia, the monument is also home to Rome’s Tomb of the Unknown Soldier. 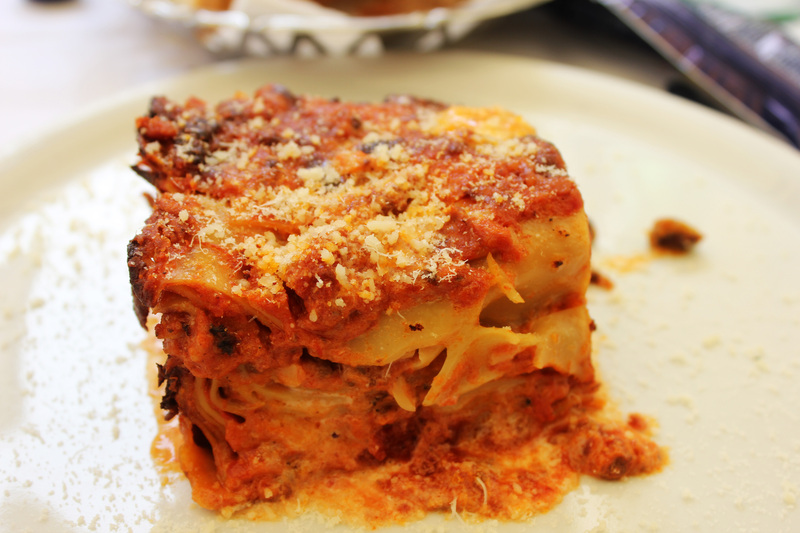 Next on our list was the famous Trevi Fountain, but not with a quick pitstop for some Italian lunch. 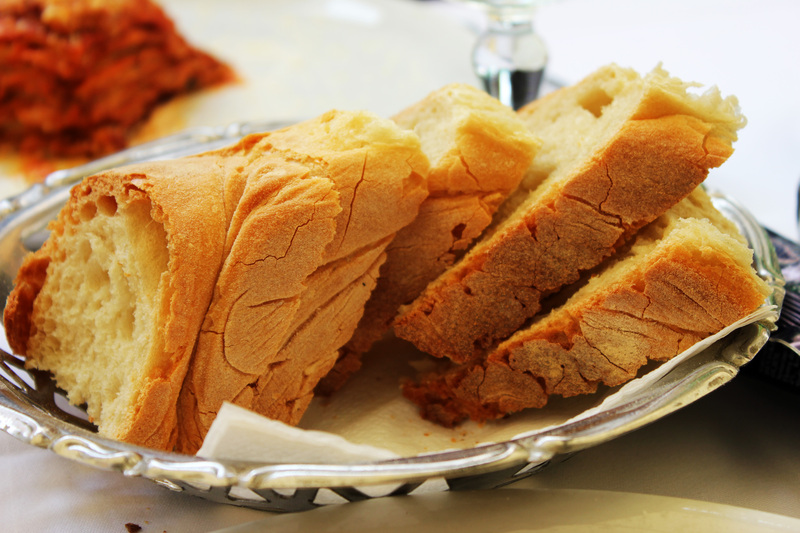 All this walking demands fuel (in the form of carb-overload, of course). 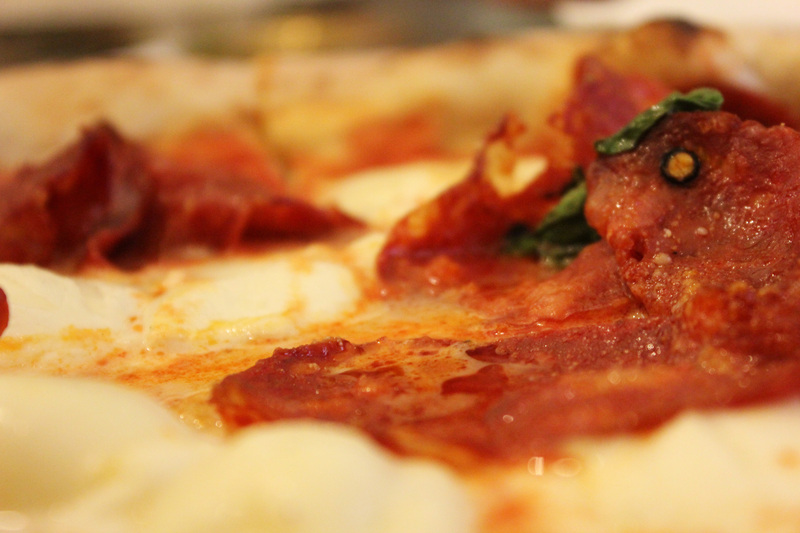 With delicious, meaty lasagna in our bellies, we continued to make our way towards the fountain. 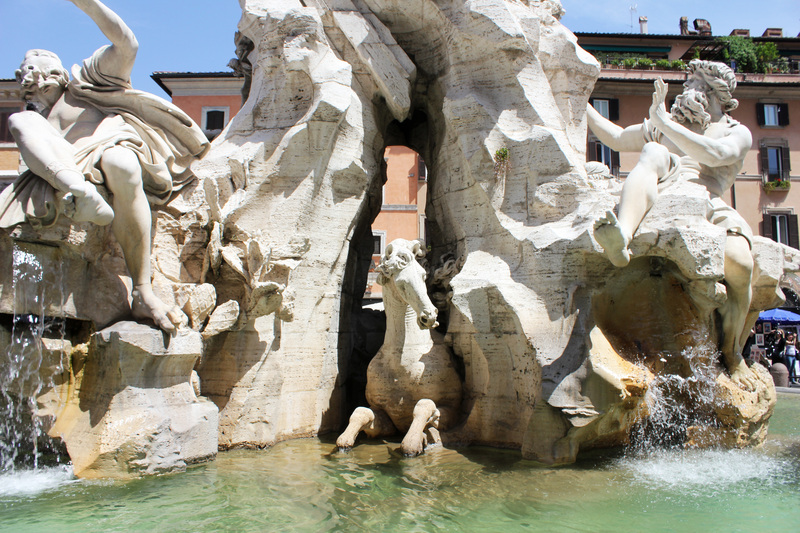 Upon our arrival at Trevi Fountain, we found ourselves both impressed and infuriated at the same time. 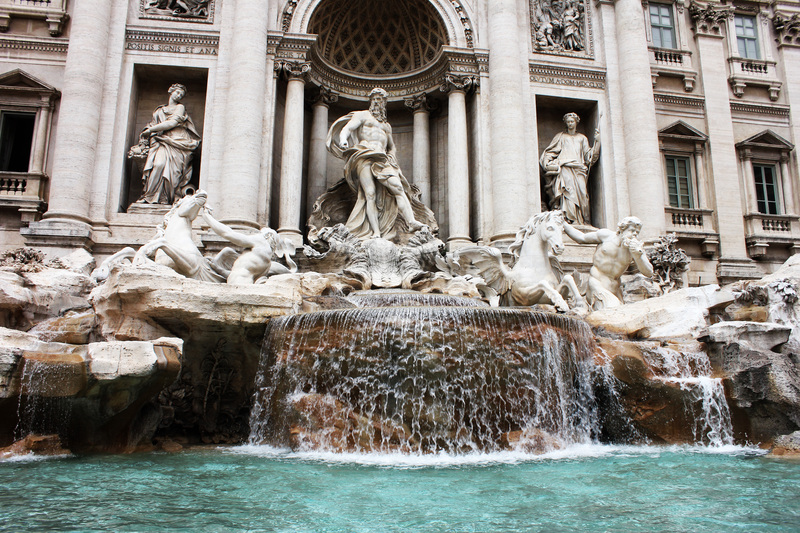 The movies will have you believe that Trevi Fountain is a place of beauty and romance, but this is far from the truth. I would instead describe it as a chaotic clusterf***. Don’t get me wrong; the fountain is beautiful– stunning, really, but at the same time, it is absolutely swarming with tourists. 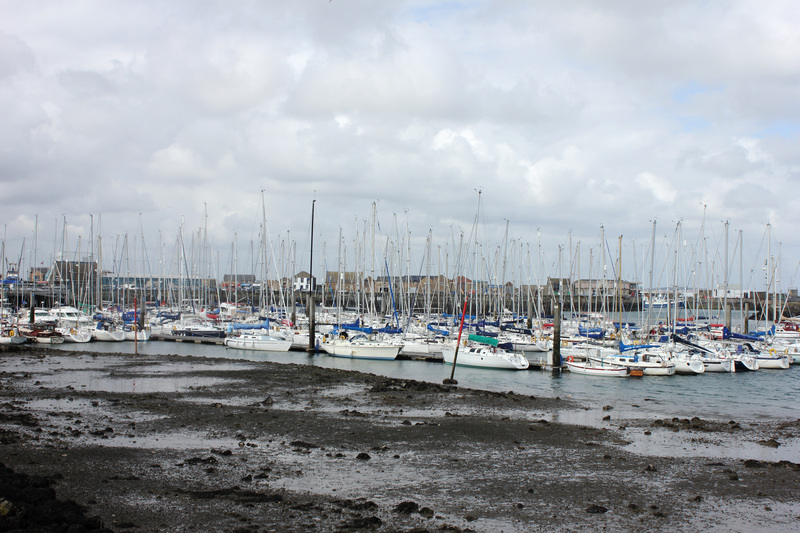 It is a tourist attraction, after all, but this was something else. On a nice day, Trevi Fountain is so packed that it’s hard to breathe. You really have to push and squeeze your way through hoards of visitors and tourist trappers to get a decent look at the fountain up-close. 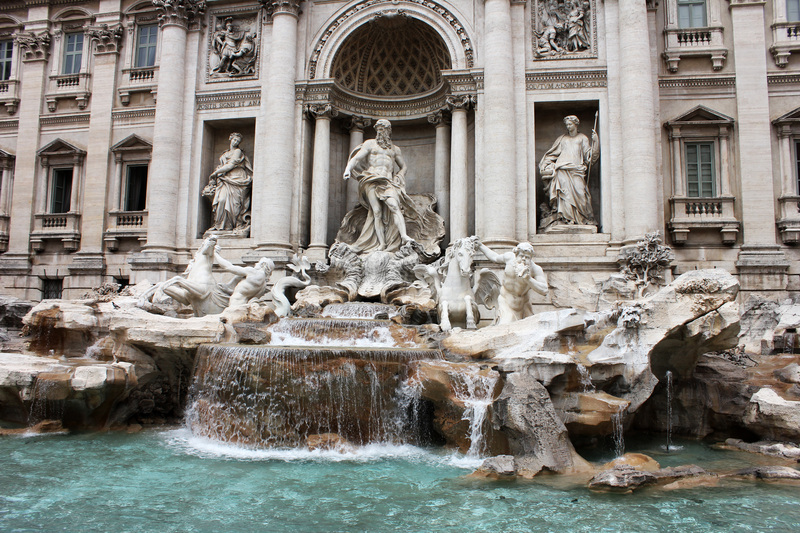 The experience is stressful (a shame considering how awe-inspiring the fountain really is), but if you can get past all that, it’s more than worth it to see the amazing Trevi Fountain. Just don’t expect it to be too relaxing. Next, we made our way west towards the Pantheon. 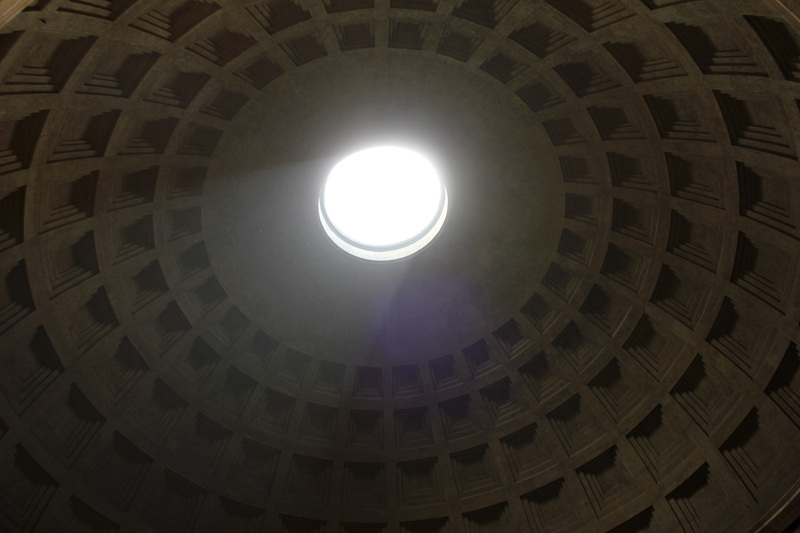 By far one of the most impressive architectural works in the city, the Pantheon as it stands today was built in 126 AD. How it stands so perfectly intact today is beyond me, but I sure as hell ain’t complaining. 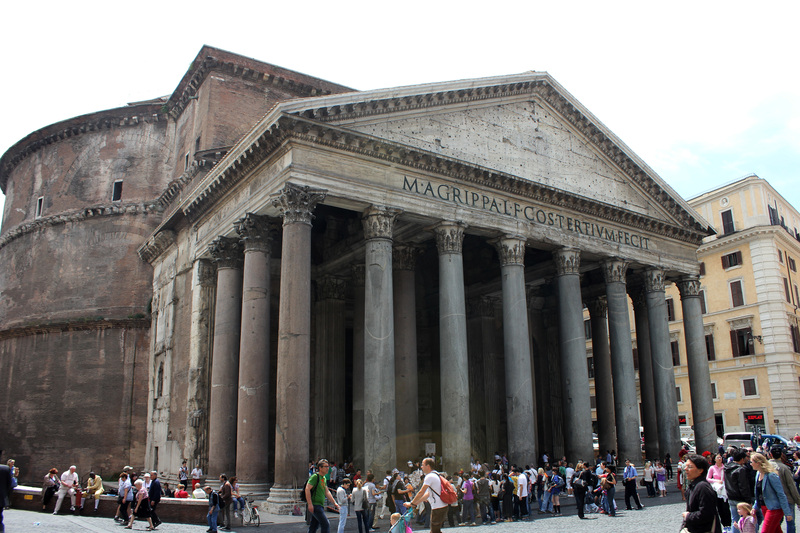 Used today as a Roman Catholic church, the Pantheon’s design consists of a portico with large granite columns leading into the massive rotunda, which features a large dome ceiling with an oculus to let light in. The light from the oculus and the front door are the only sources of light for the massive building, creating a pretty cool lighting effect. The light shining from the oculus moves around the room in an circle as the sun rises and sets. 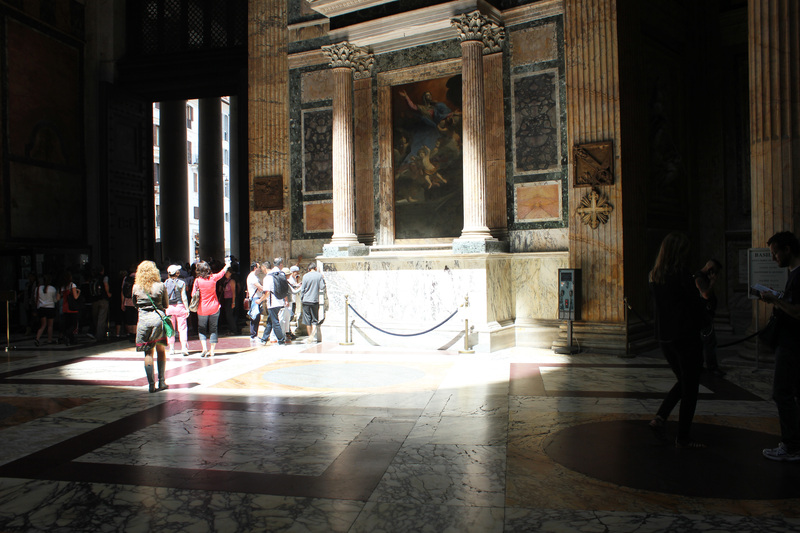 The Pantheon is definitely one of Rome’s top sights. 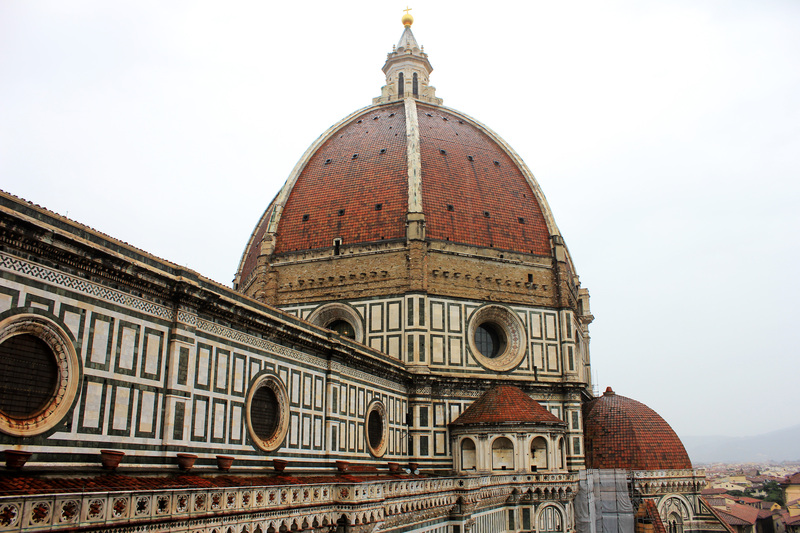 It’s one of the most unique buildings I’ve visited, and it’s a truly special piece of ancient history. 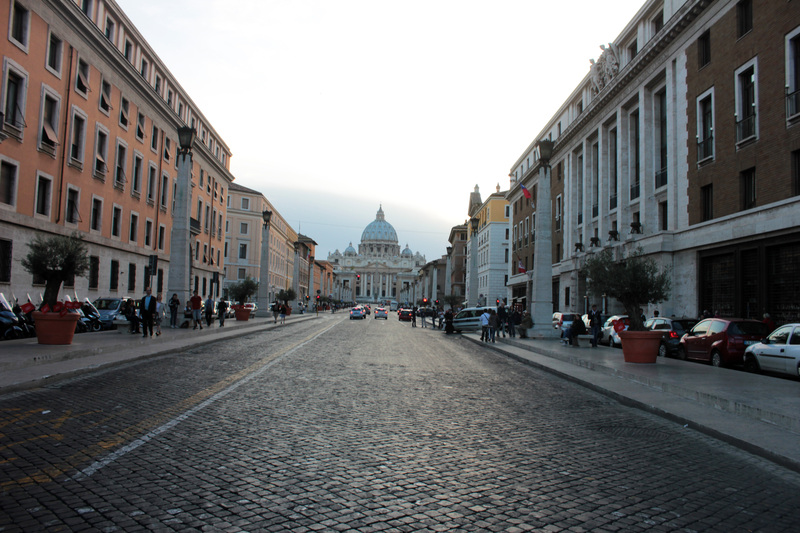 But there’s still much more to see in Rome in a day. 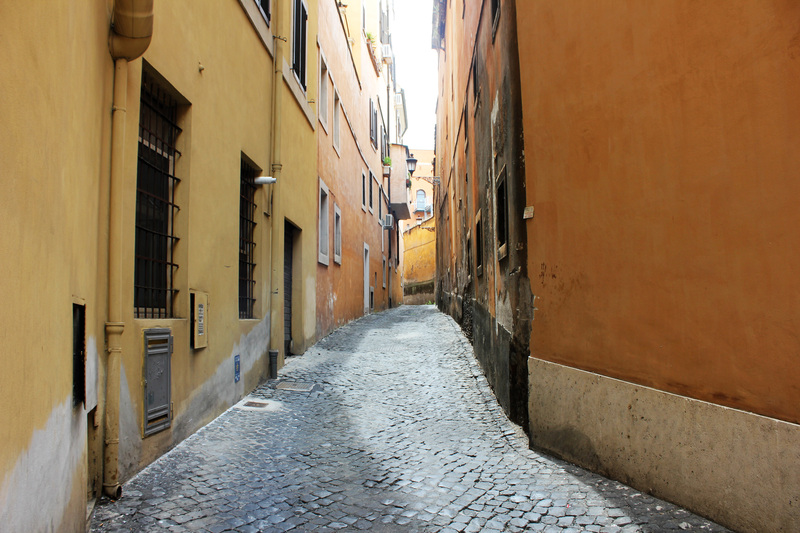 Stick around for Rome in a Day, Pt. 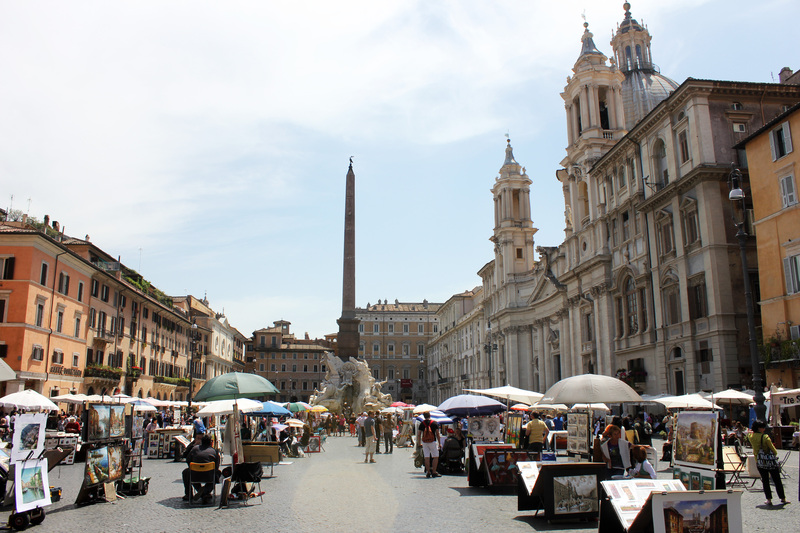 2 for the rest: Piazza Navona, Spanish Steps, Vatican City, and more! 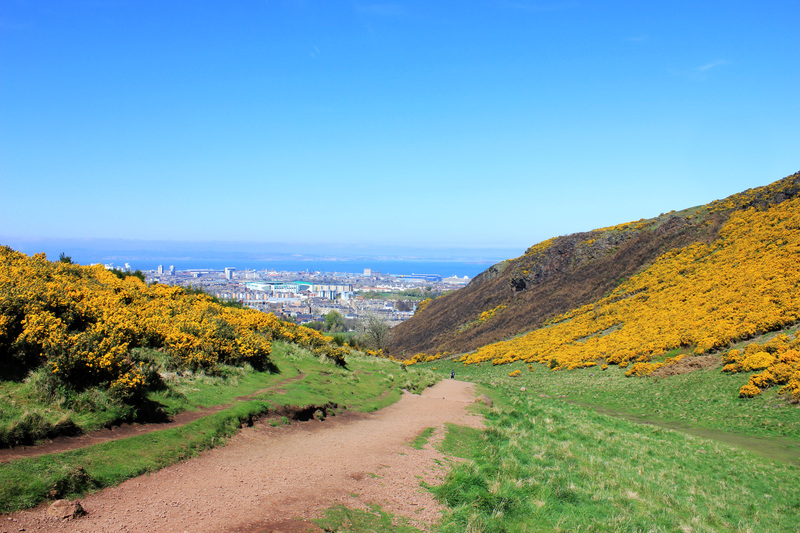 A sunny day in Edinburgh? 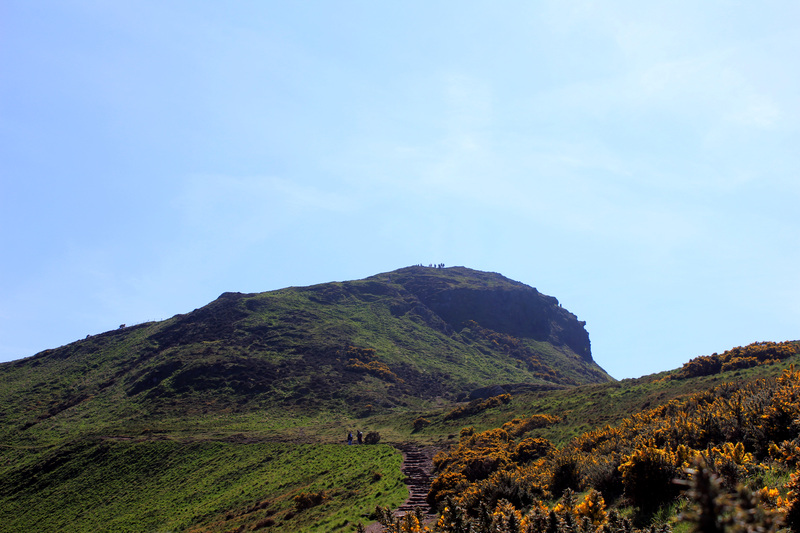 Call it a miracle, if you please, but I prefer to call it a perfect excuse to hike up to Arthur’s Seat in Holyrood Park. 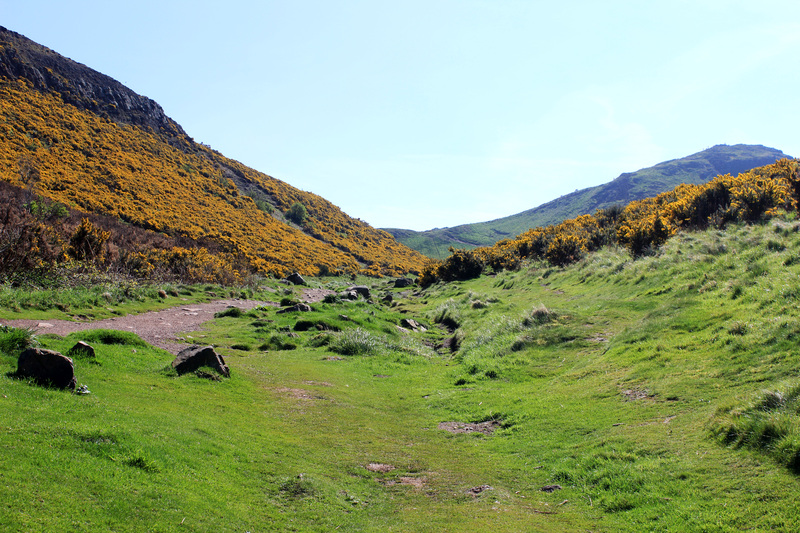 Located right in the heart of Edinburgh, Holyrood Park is a truly remarkable example of grassy Scottish highlands. 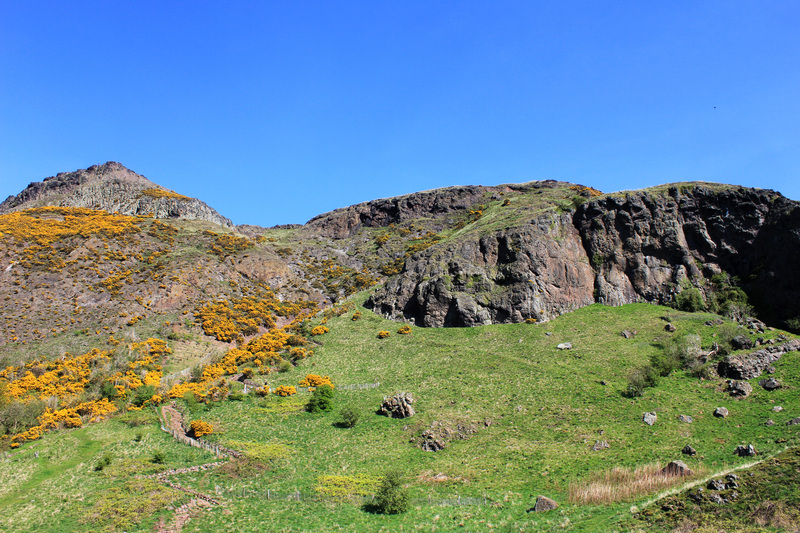 Originally a Royal Park in the 16th century, the park, now open to the public, features several astonishing hills, quarries, crags, and lochs (lakes). 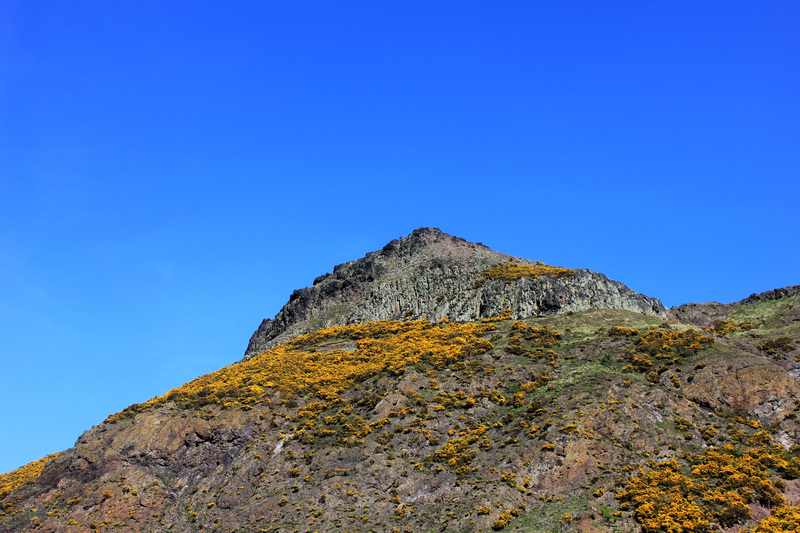 The highest of these hills is Arthur’s Seat, summiting at 251 meters, making it the highest point in Edinburgh. 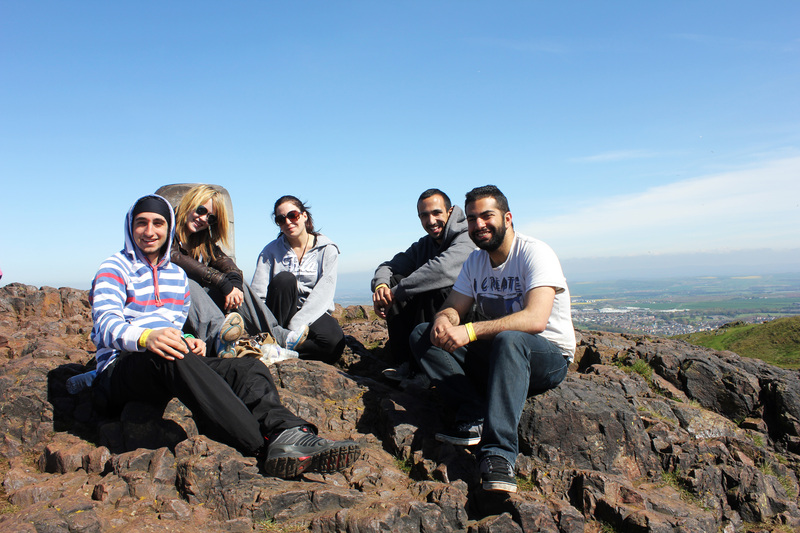 The hike to the top of Arthur’s Seat isn’t a typical walk in the park, but it’s nothing too strenuous either. 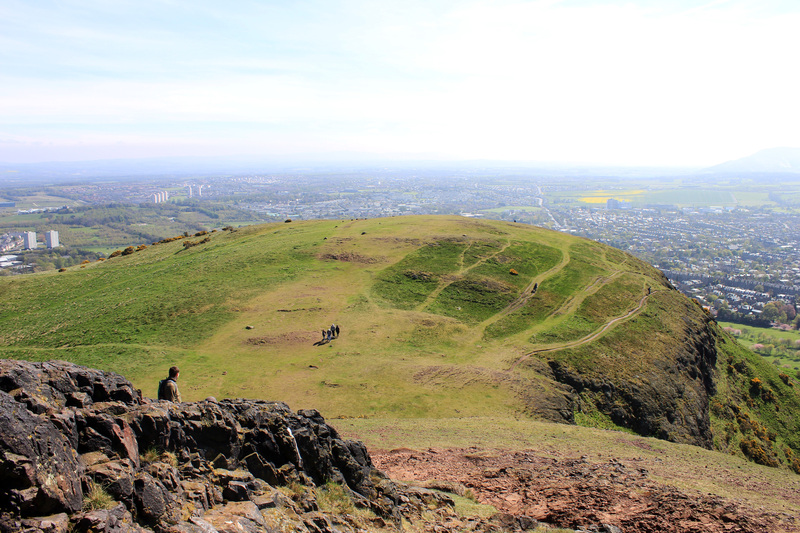 Regardless of your skill level, the hike is more than worth it. 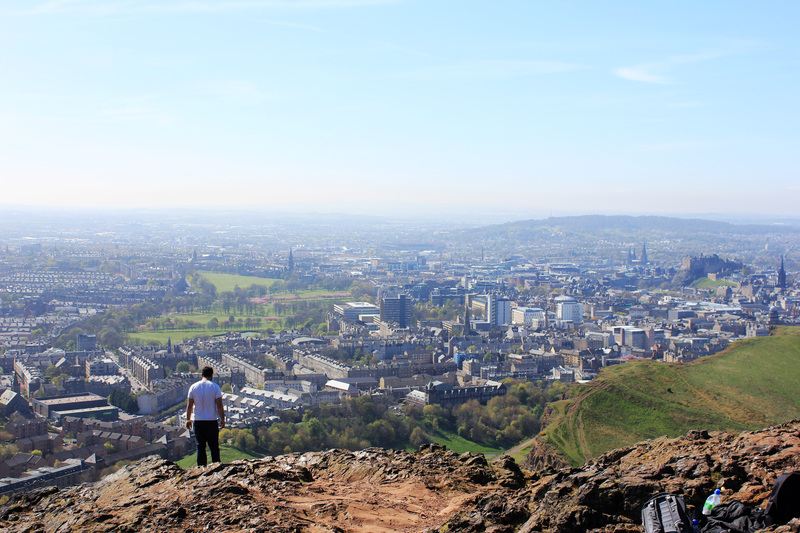 The beauty of the park never ceases to impress the entire way up, and the panoramic views of the city from the peak are a juicy reward. In Edinburgh, things are given simple names. 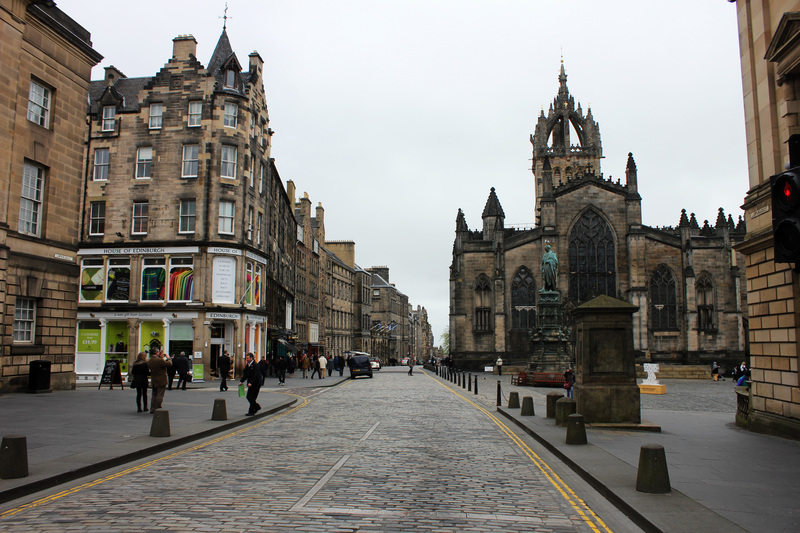 The Royal Mile, for example, runs one Scots mile long and ends on each side at a royal landmark (Edinburgh Castle on the west side and Holyrood Abbey at the east). 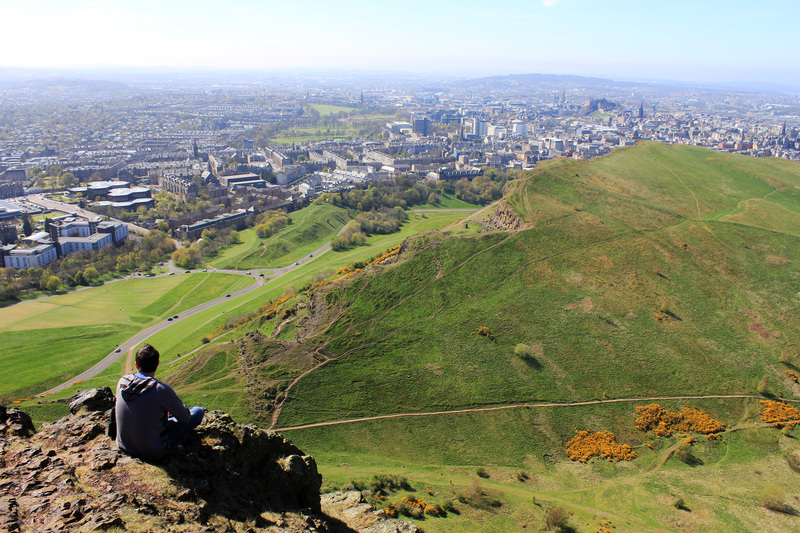 If you’re a visitor to Edinburgh, you’ll probably be spending quite a bit of time here. Typical Scottish gift shops, whisky shops, bars, cafes, restaurants, etc. 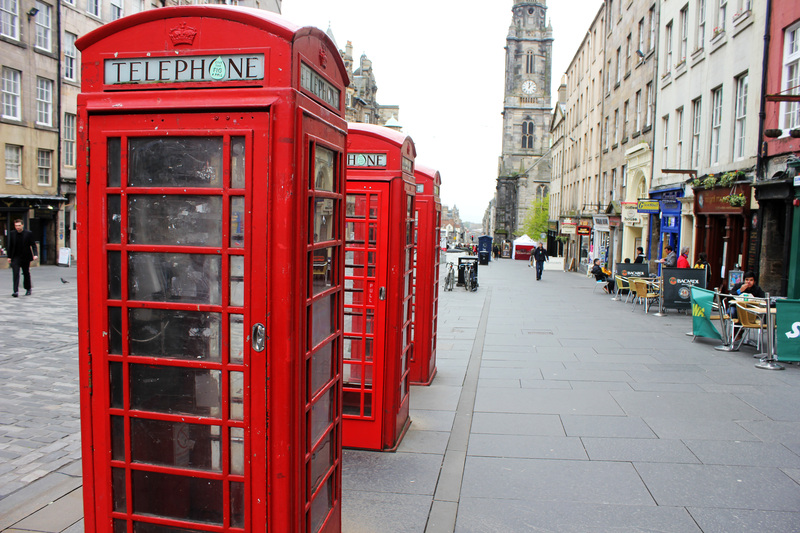 can be found on this series of streets that comprise the heart of Edinburgh’s Old Town, as well as several notable city landmarks. 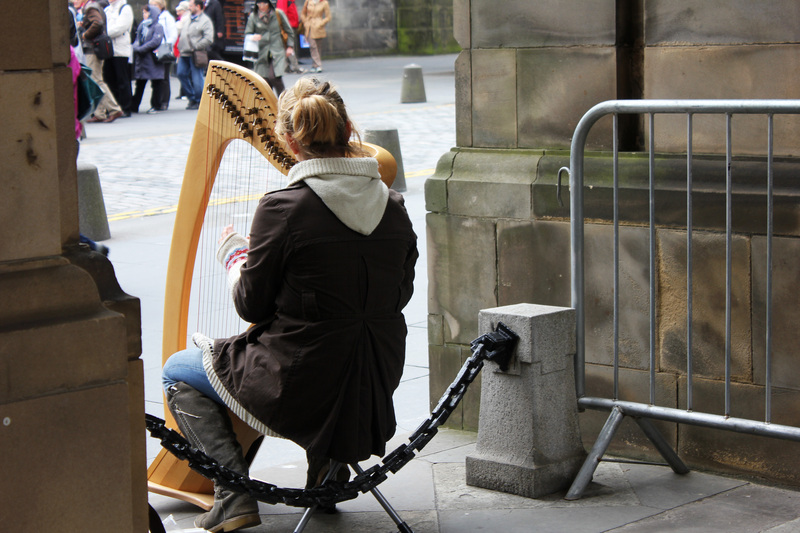 There’s one easy way to spot a tourist on the Royal Mile, and no, it’s not simply the “I ♥ Edinburgh” t-shirts (why anybody would wear a t-shirt in Scotland is beyond me anyway). 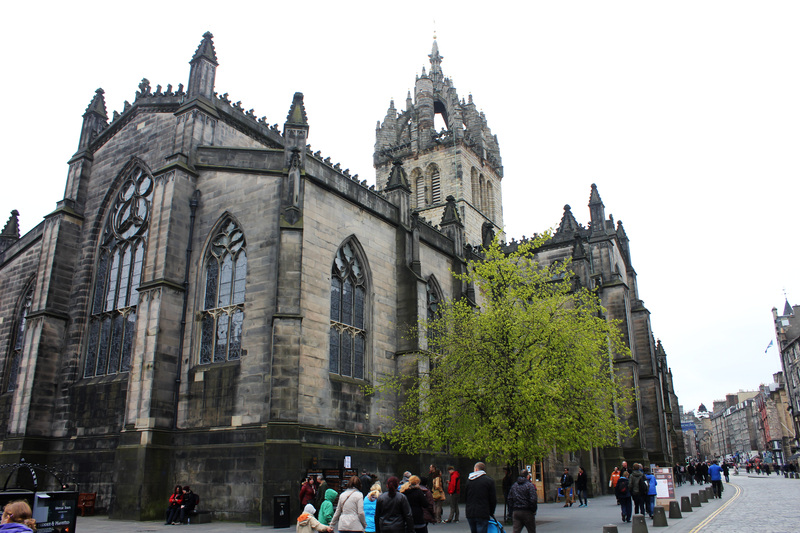 Located outside of St. Giles’ Cathedral is the Heart of Midlothian. 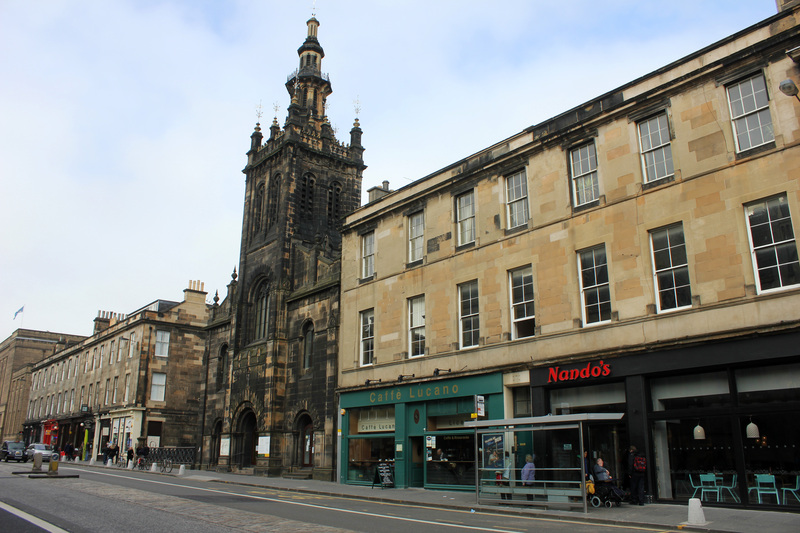 What was once the location of the Old Tolbooth, where public executions took place, is now the location of… a lot of spit. 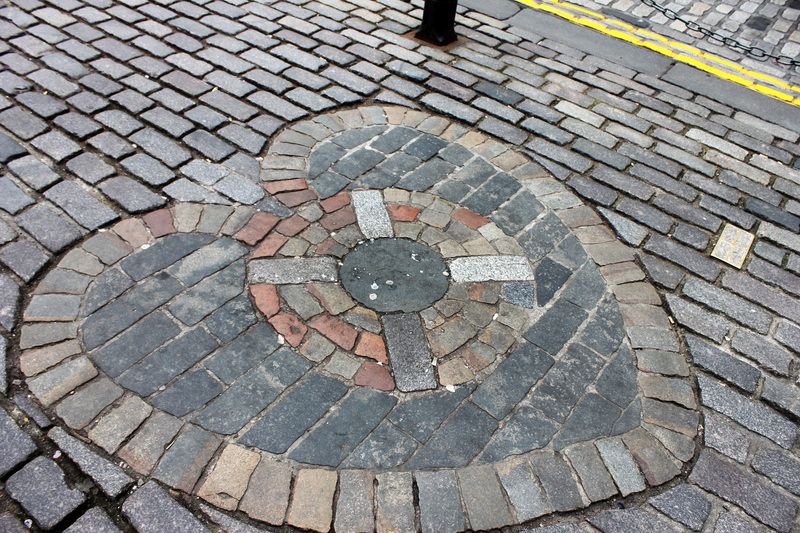 That’s right, the Heart of Midlothian (pictured below) symbolizes the heart that marked the doorway to the Old Tolbooth Prison in the 15-18th centuries. The public would spit on the heart to show their disgust towards criminals. Keeping the tradition alive today, locals spit on the heart, which is now engraved into the sidewalk, for good luck; tourists walk right through it. I chose to partake in the former option. There’s something oddly rewarding about watching tourists walk through your own saliva. I proudly left my mark in Edinburgh. 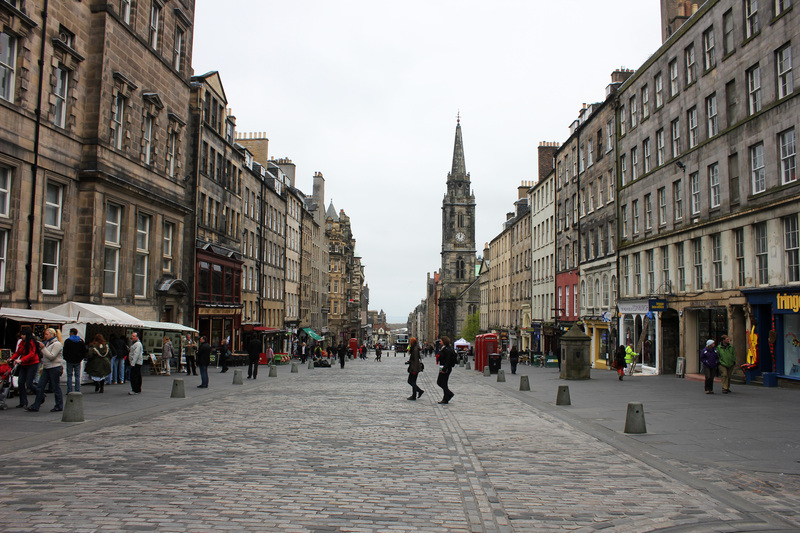 There’s a lot going on in Edinburgh’s Old Town, and the Royal Mile is at the heart of it all. 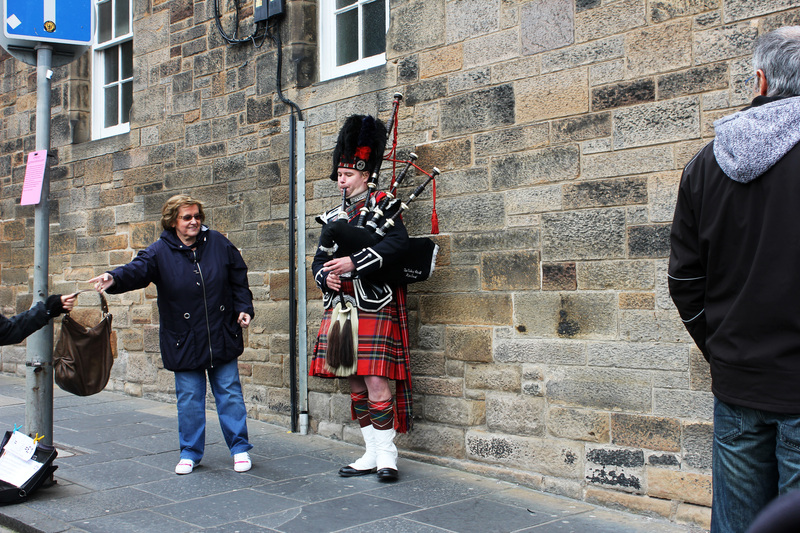 Bagpipes and harps fill the air with delightful Scottish sounds, complementing the hustle and bustle of the busy street(s). 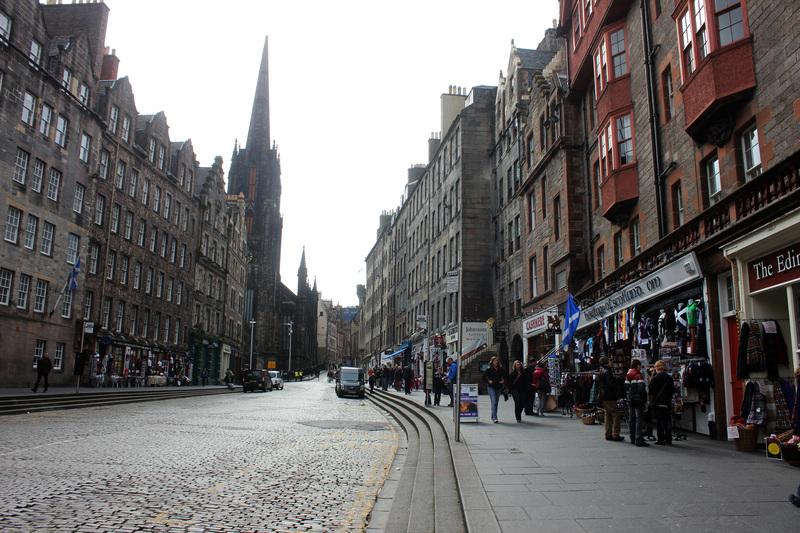 A stroll along the Royal Mile is well worth your time, but be sure to make your way off the beaten path as well. 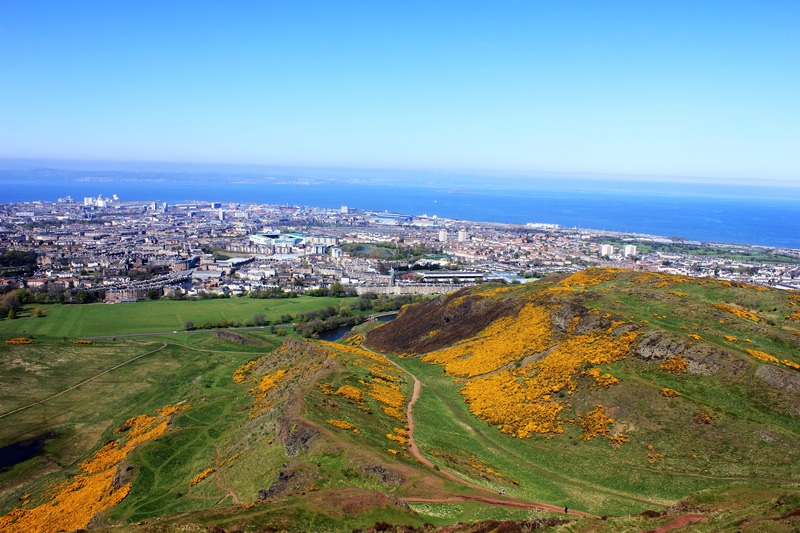 There’s much more to Edinburgh than meets the eye, and there’s certainly more to Edinburgh than the Royal Mile. 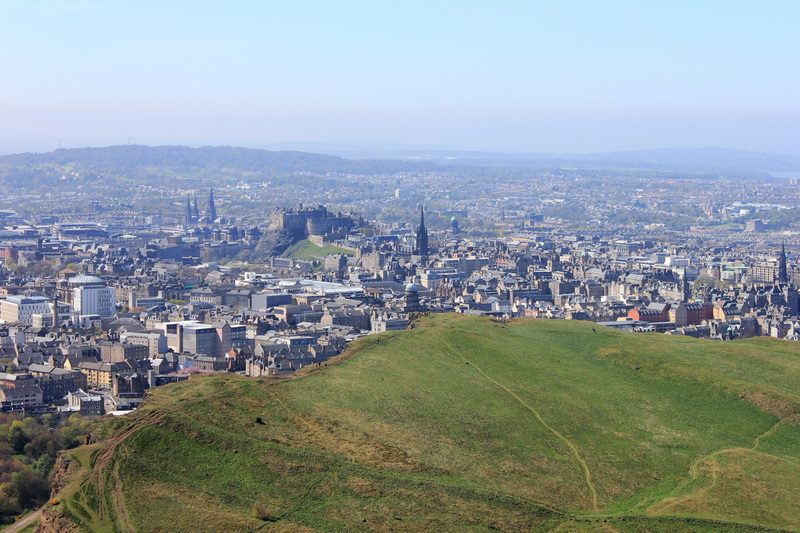 Scotland’s capital city is a beautiful and lively one. 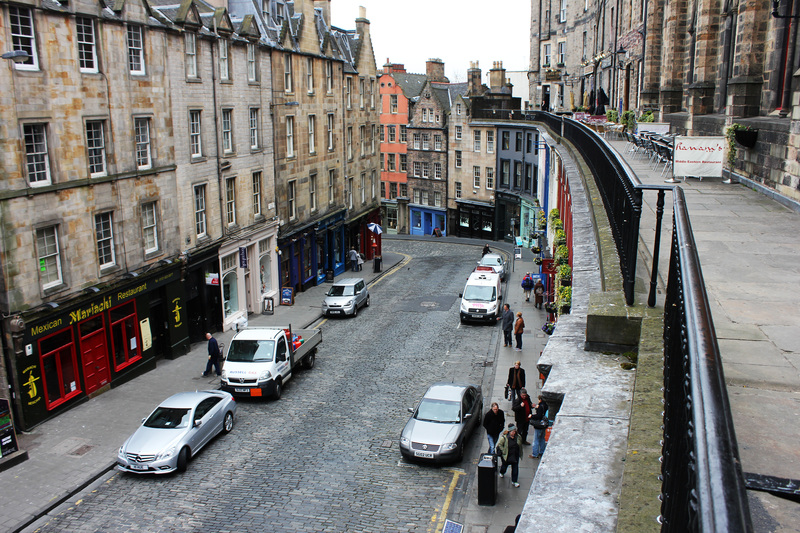 Windy roads and dark alleyways pave the way through a city of bagpipes, cashmere kilts, and Scotch whisky. 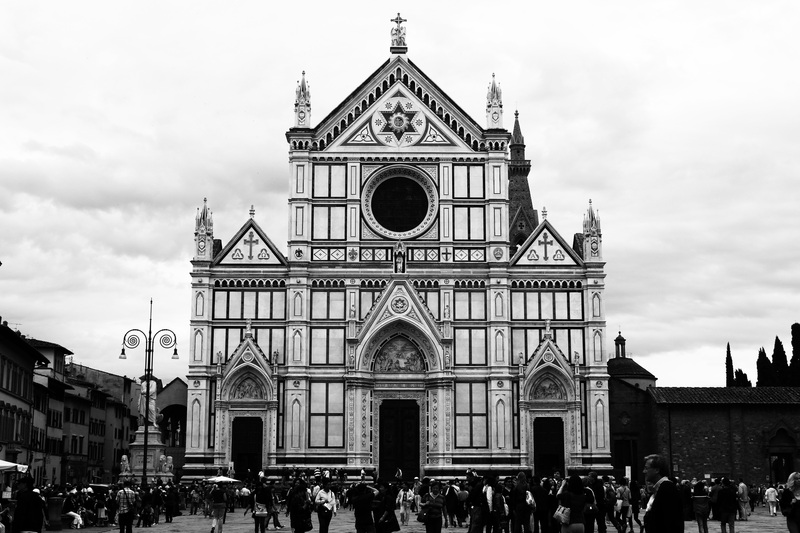 Gothic architecture is not uncommon along with a variety of other alluring buildings, including castles, spires, and cathedrals. 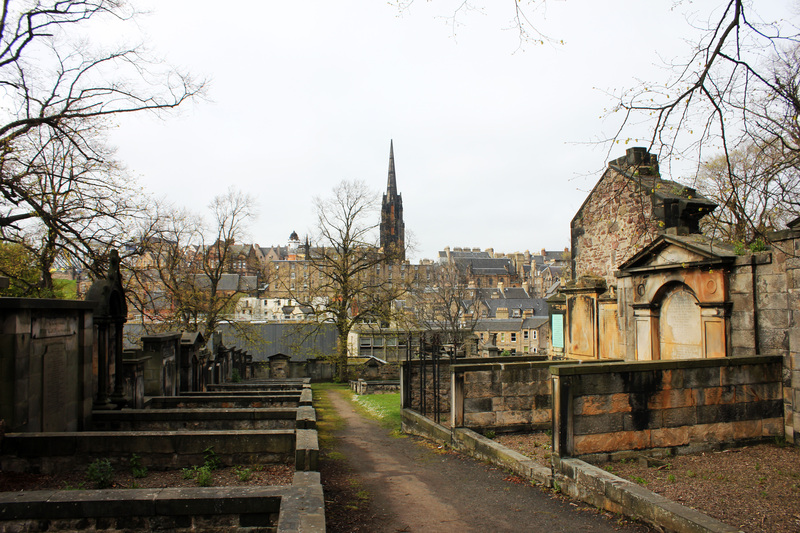 Parks, cemeteries, and underground vaults give the city a haunting feel, and it’s got a haunting history to boot, with plenty of witch killing and body snatching. 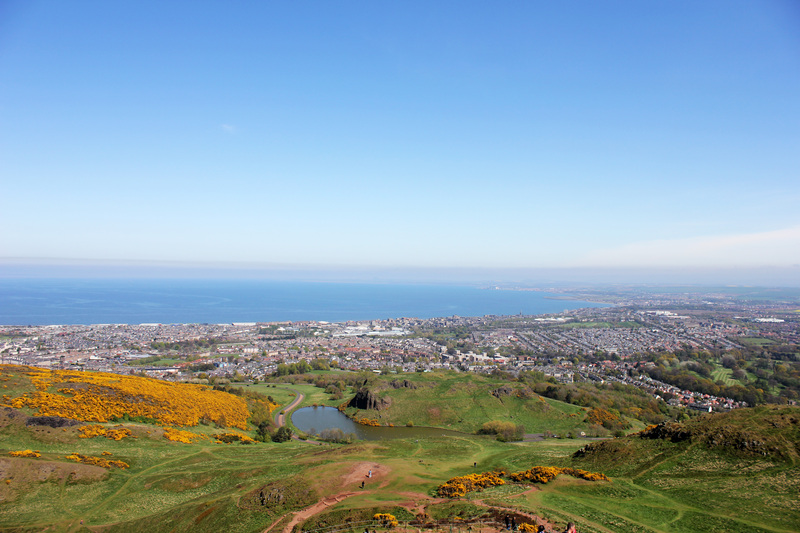 To top it all off, the entire city is easily accessible by foot. To use any other form of transportation is entirely unnecessary for a visitor. 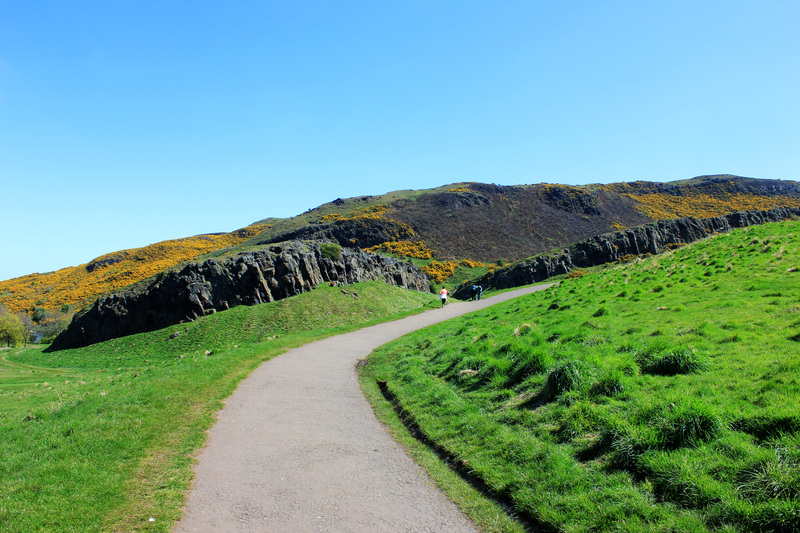 Beautiful Edinburgh is one of a kind, and any traveler in the United Kingdom would be a fool not to visit. 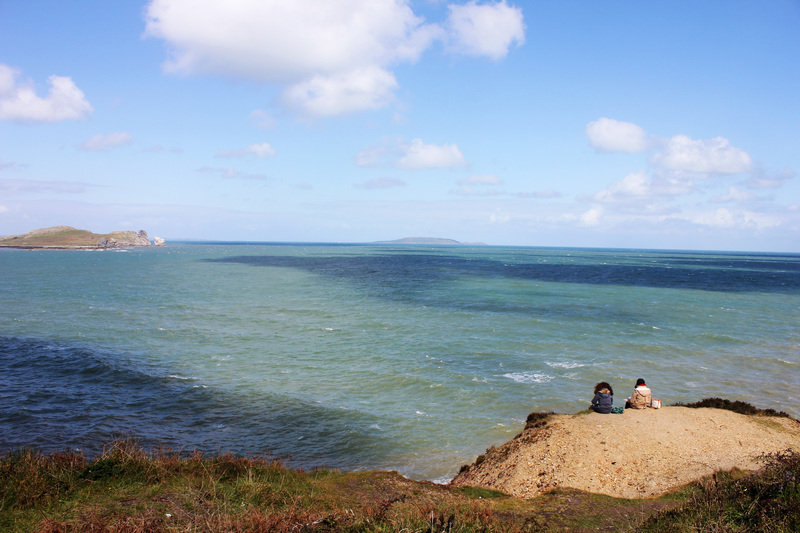 A proper trip to Dublin isn’t complete without a trip to its waterfront suburb, Howth. 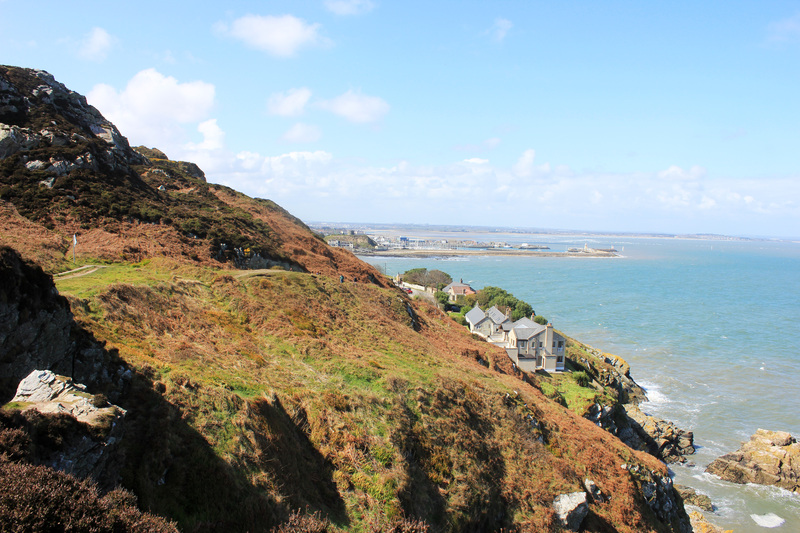 Located on the Howth Head peninsula, this cool little village features a busy harbor, beautiful hiking paths, and fresh local food. 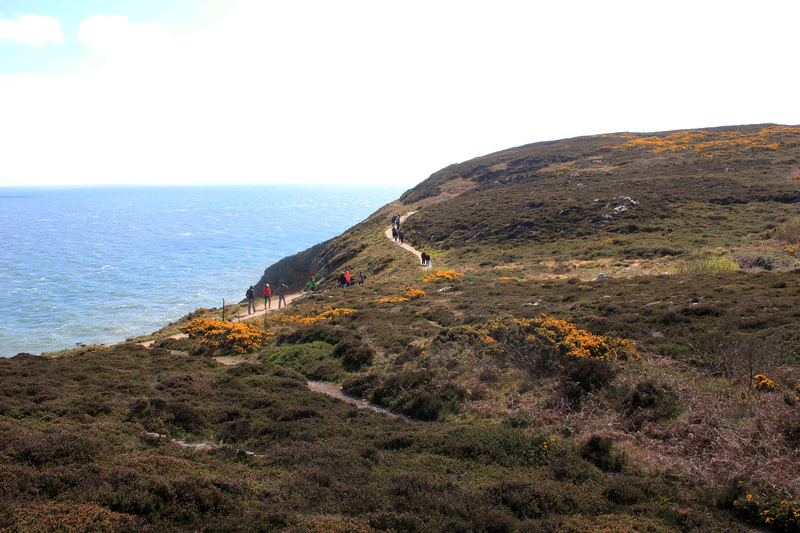 Notable sights include the Howth Castle, Howth Lighthouse, and Ireland’s Eye. 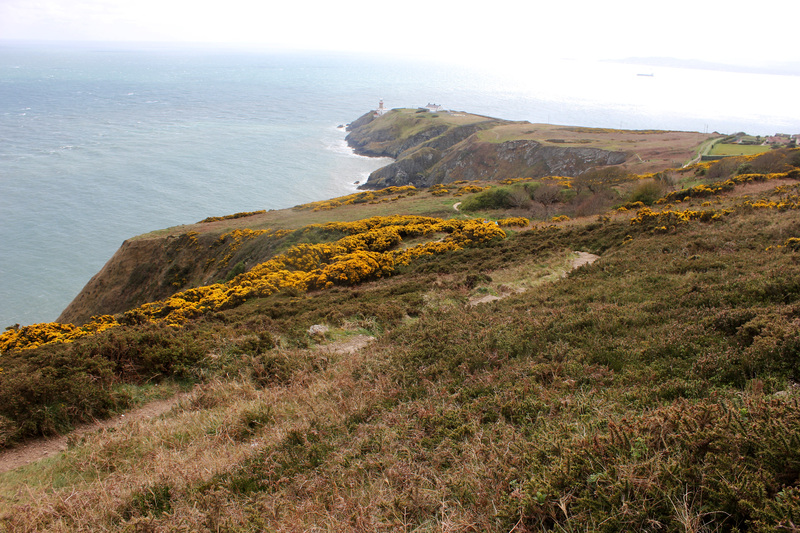 To get the full effect, however, a hike to the summit of Howth is a must. 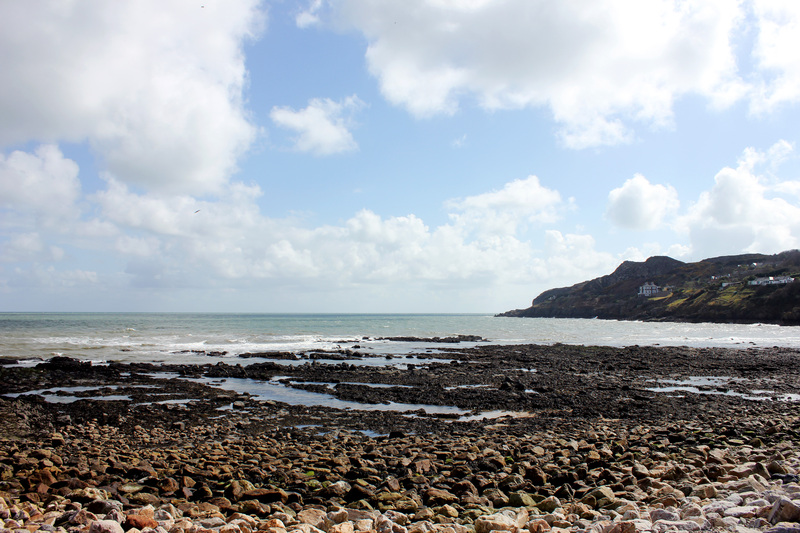 In any case, Howth is a charming little village, providing the beauty of nature at a grand scale as well as man-made wonders such as ice cream shops and fish & chip joints. 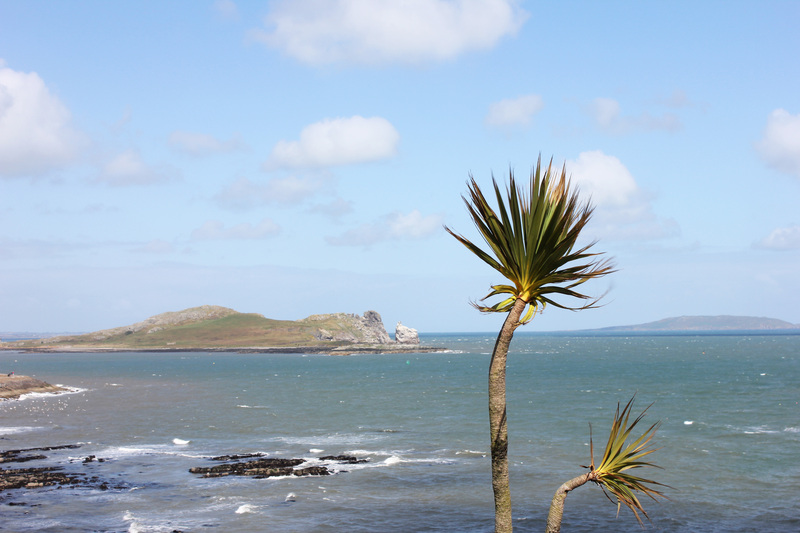 Central Dublin is lively and great, but Howth is awesome in a very different way. 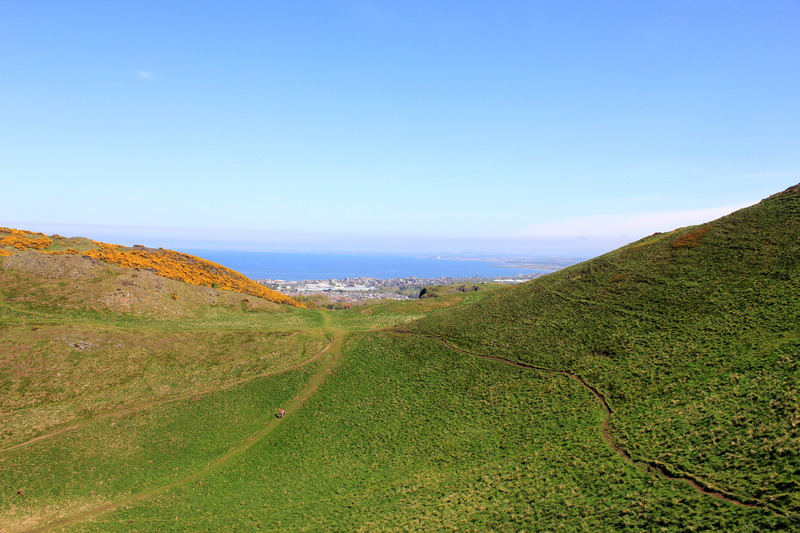 So do yourself a favor and catch a train to one of the coolest part’s of Dublin that otherwise might not be getting the attention it deserves. 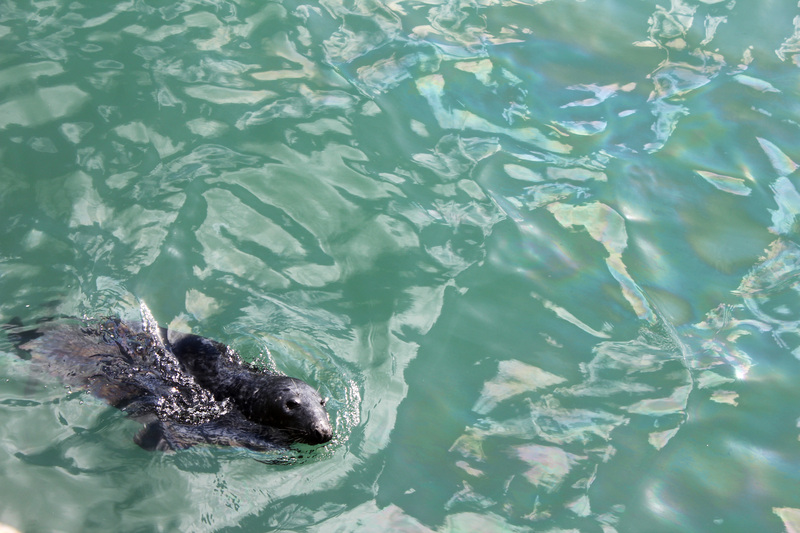 I'm an independent San Franciscan journalist. 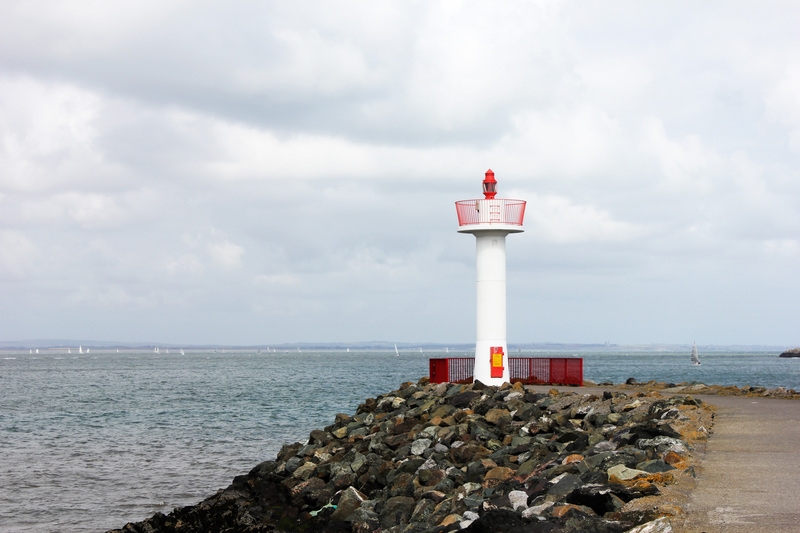 I started this blog while studying in Amsterdam. 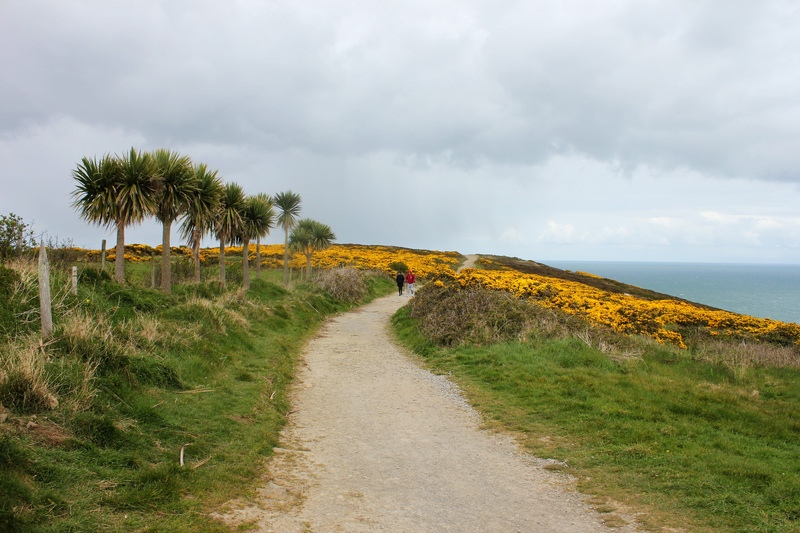 I travel, and I write about it. These are the things I write about it.